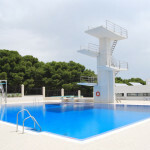 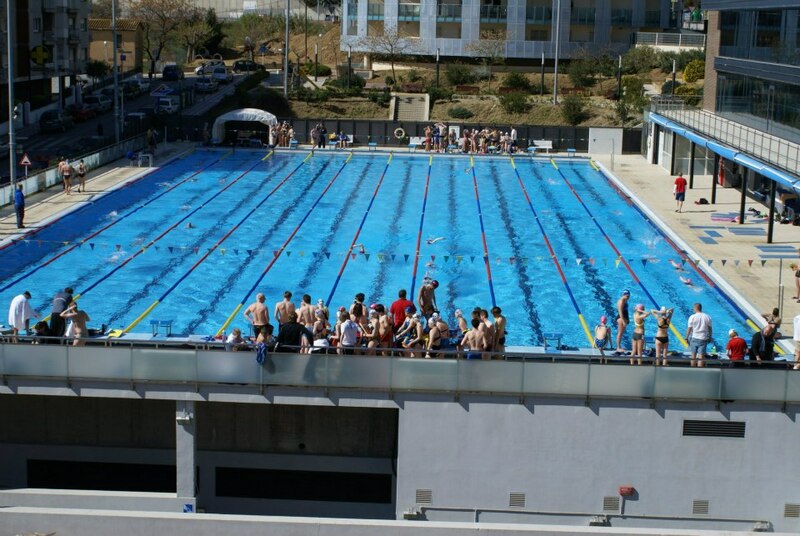 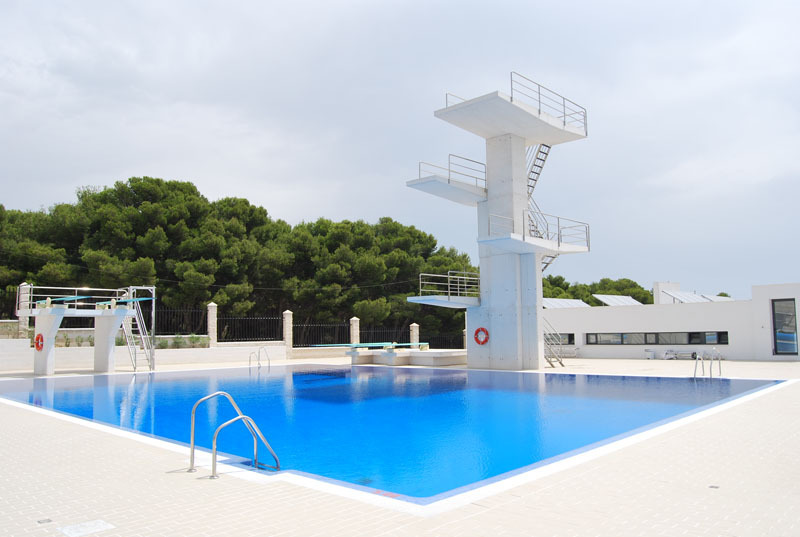 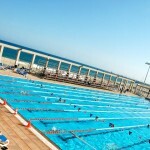 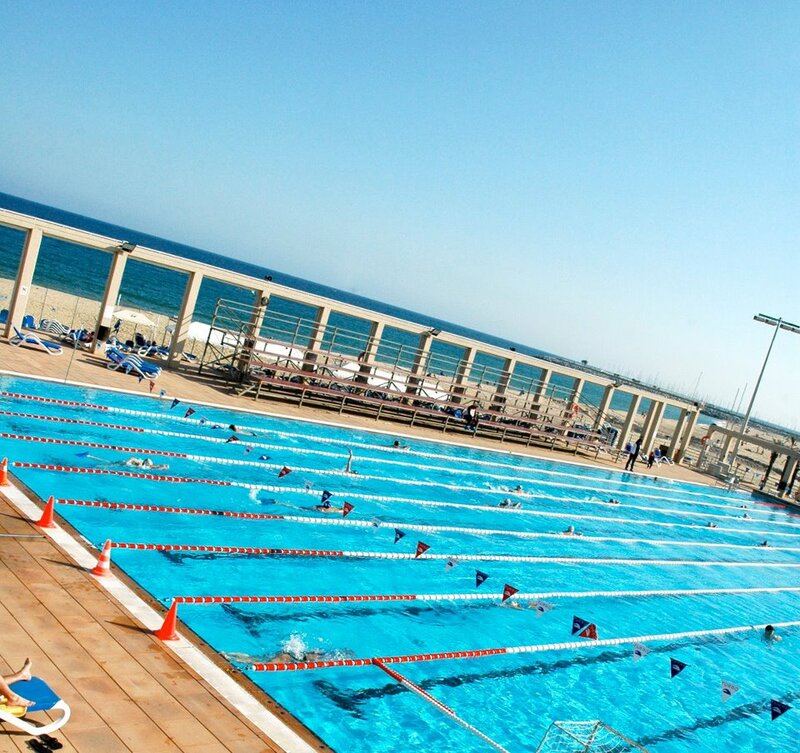 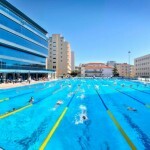 Ideal destinations for your swimming and water polo training camps. 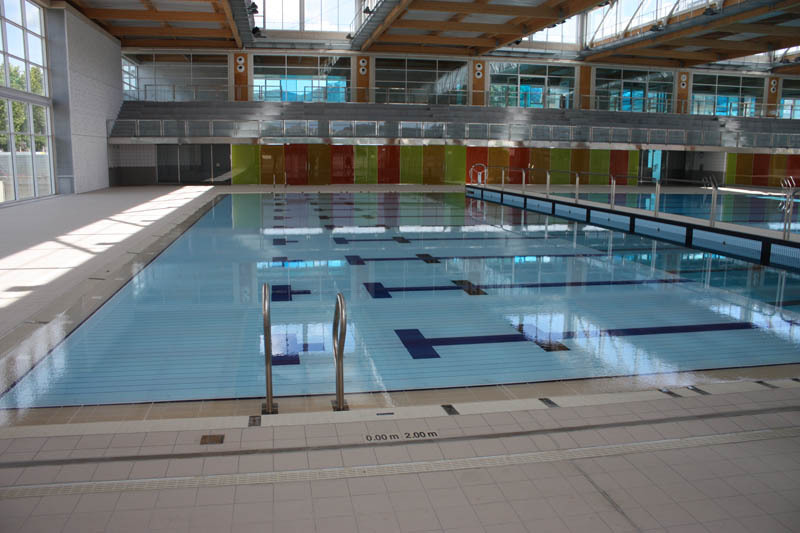 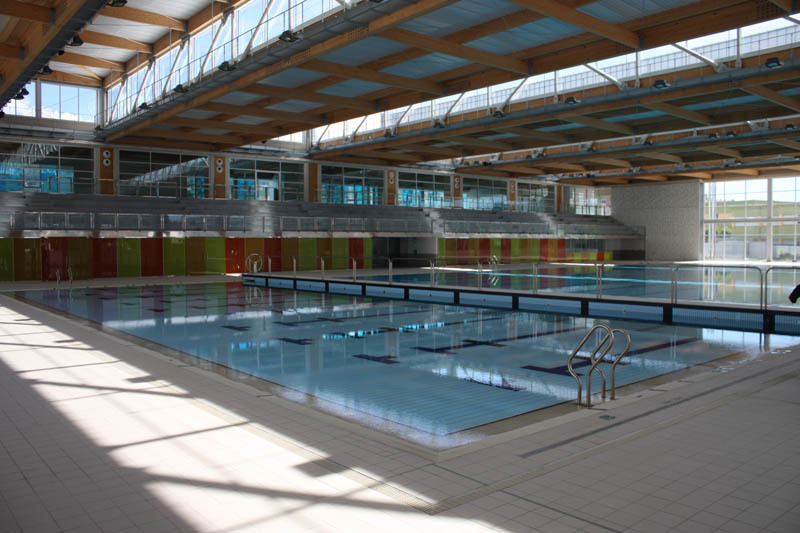 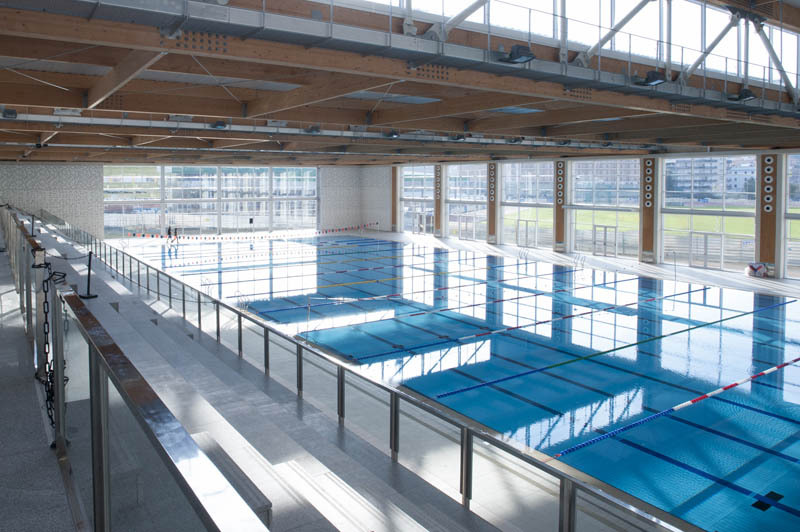 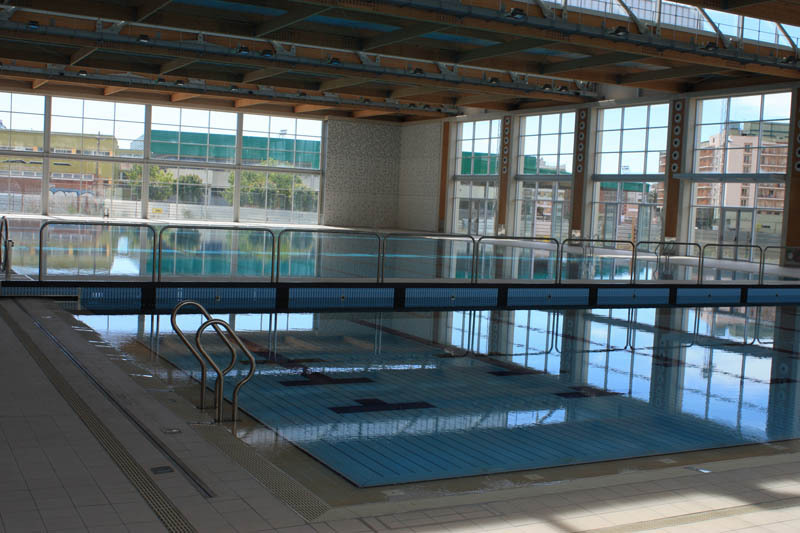 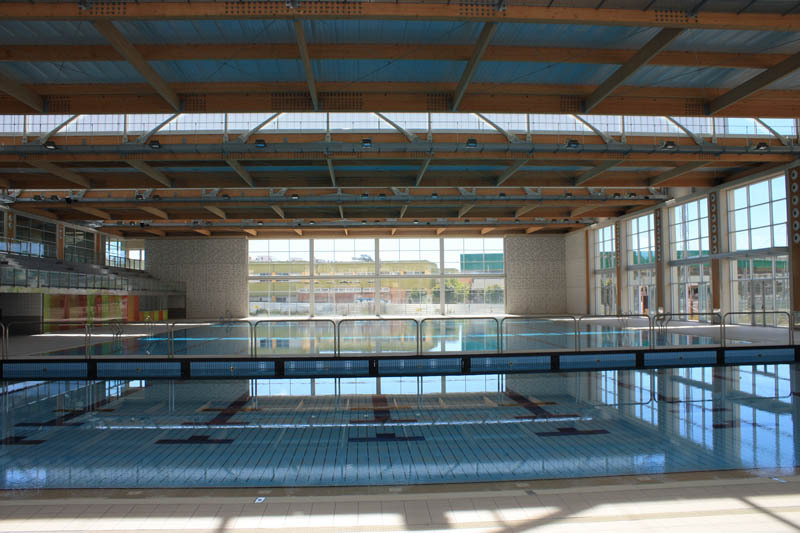 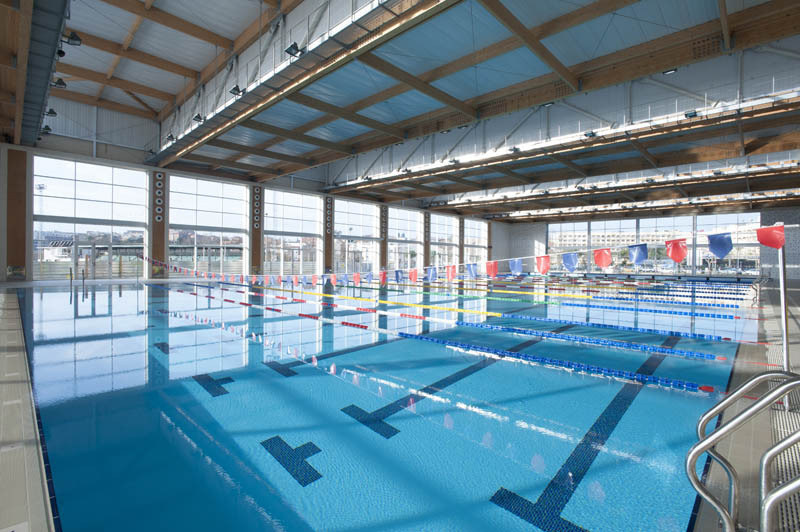 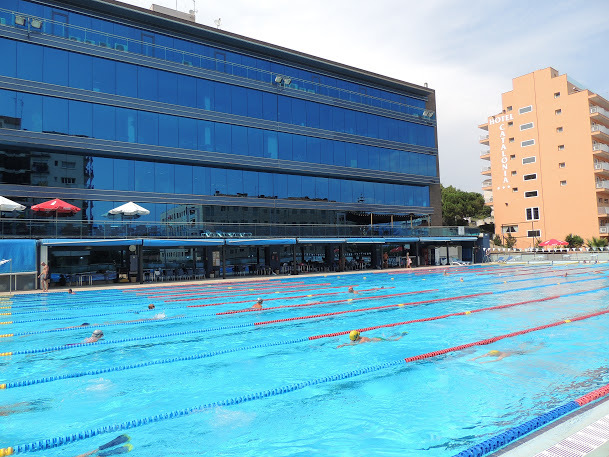 Many of our chosen venues have hosted the Swimming World Cup, European Championships and Olympic Games. 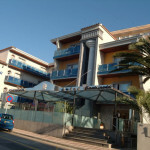 Lloret de Mar is a world famous beach resort on the southern Costa Brava. 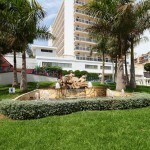 The city is based in a stunning natural setting with 9 km of coastline and 27 km2 of woodland. 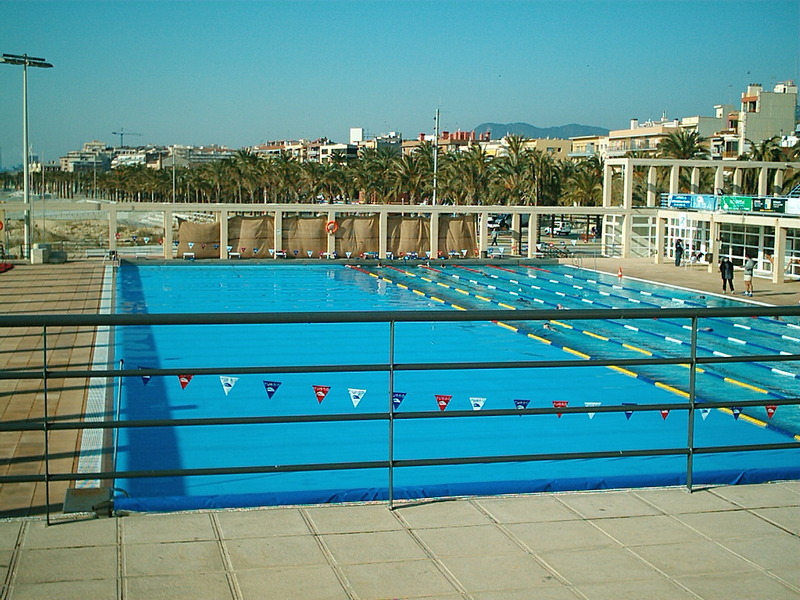 Important sports events like the International Handball Tournament, Eurobasket, Football MIC or the Costa Brava Extrem Running have all been hosted in this town in recent years. 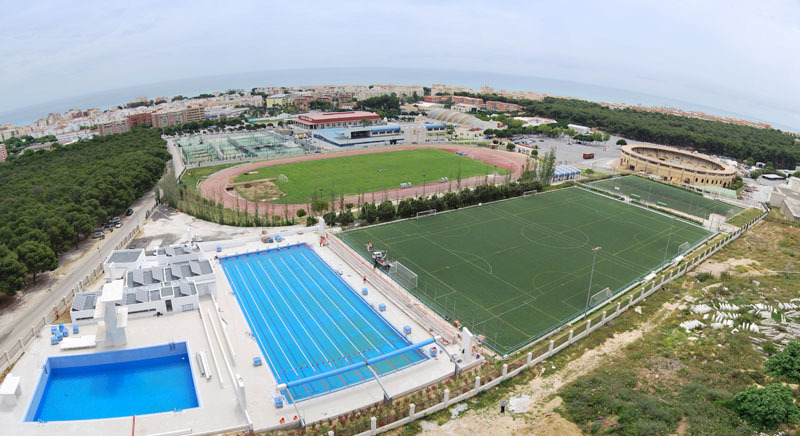 The sports area is located near the city centre, surrounded by accommodation and leisure facilities and only 800 m from the beach. 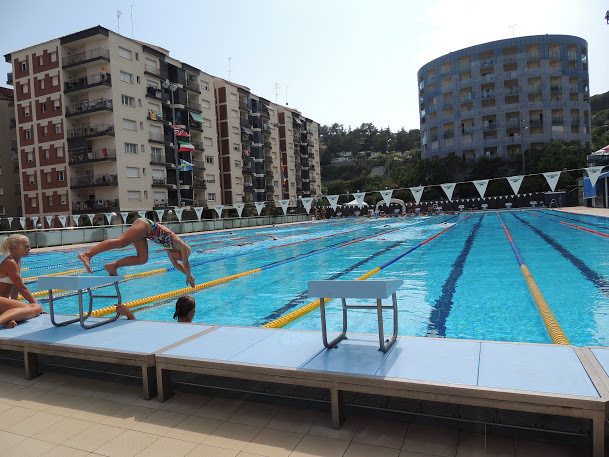 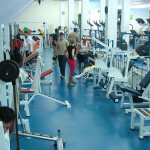 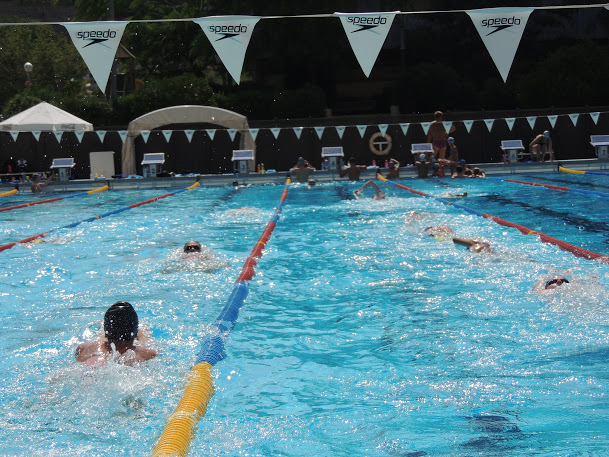 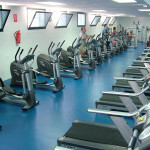 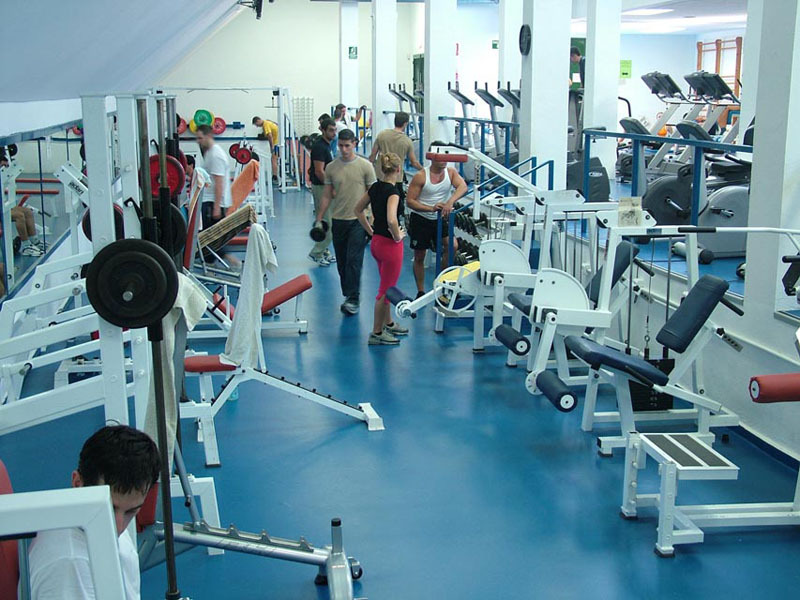 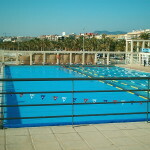 A wide range of sports can be practised within very short distance around Lloret’s modern facilities and infrastructure. 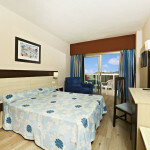 Distance to accommodation: 5 minutes’ walk. 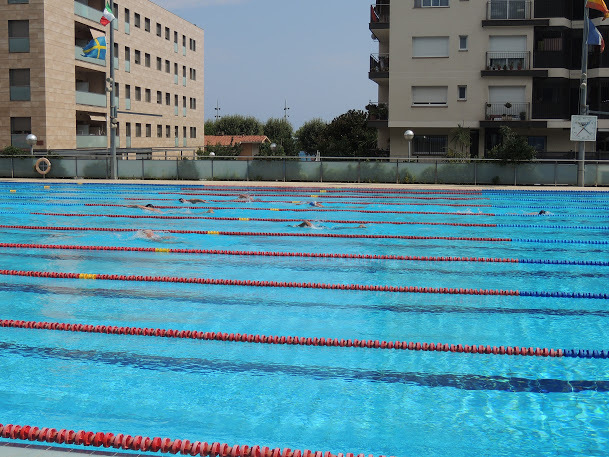 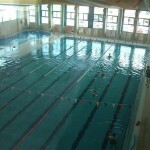 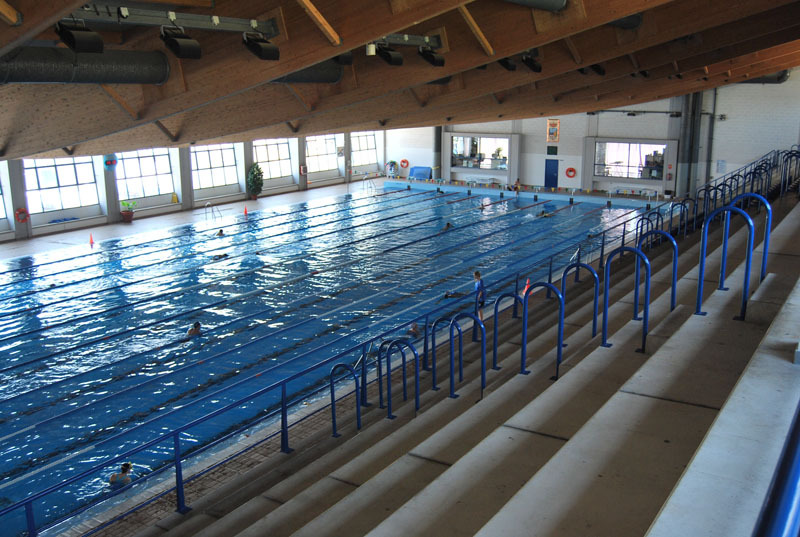 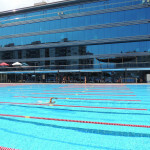 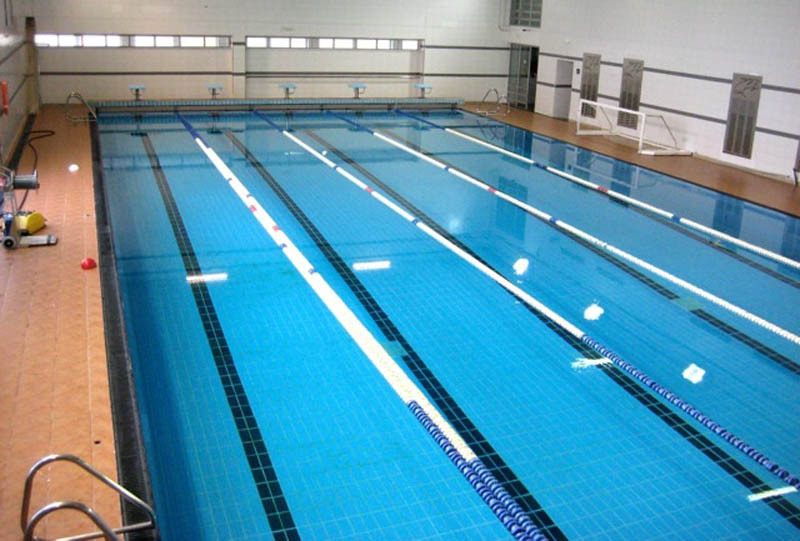 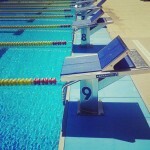 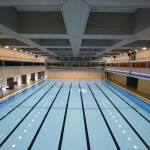 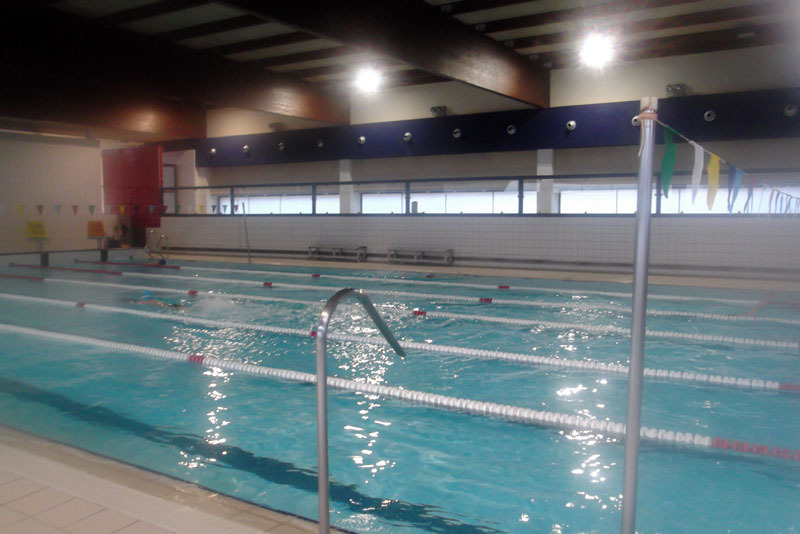 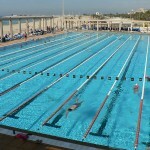 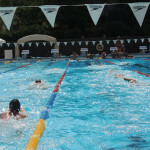 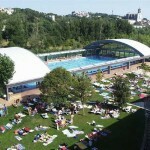 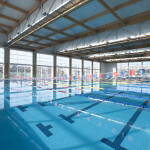 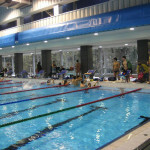 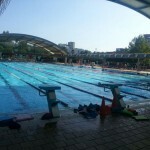 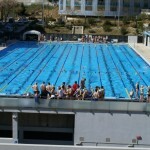 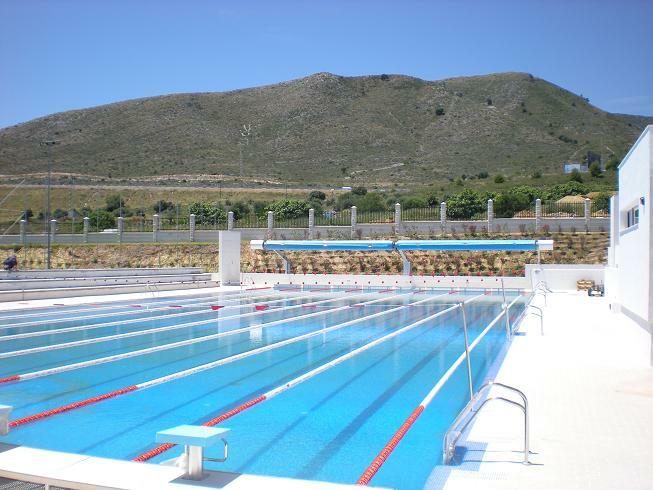 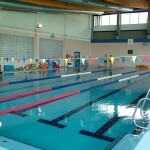 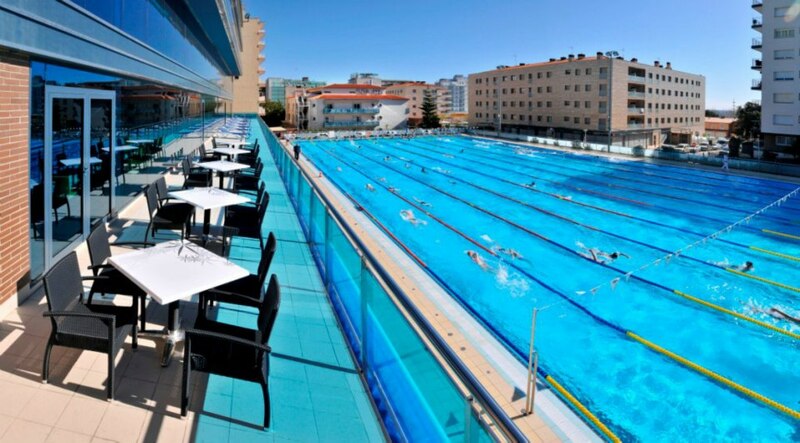 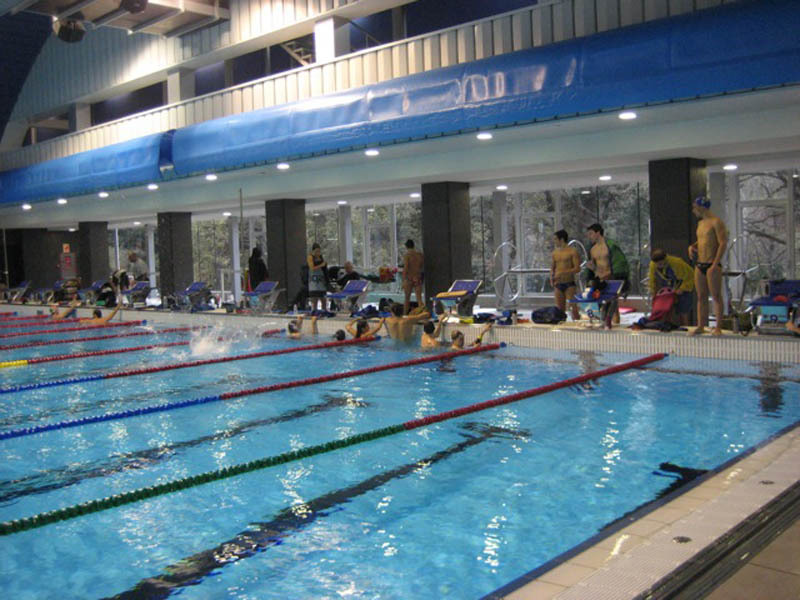 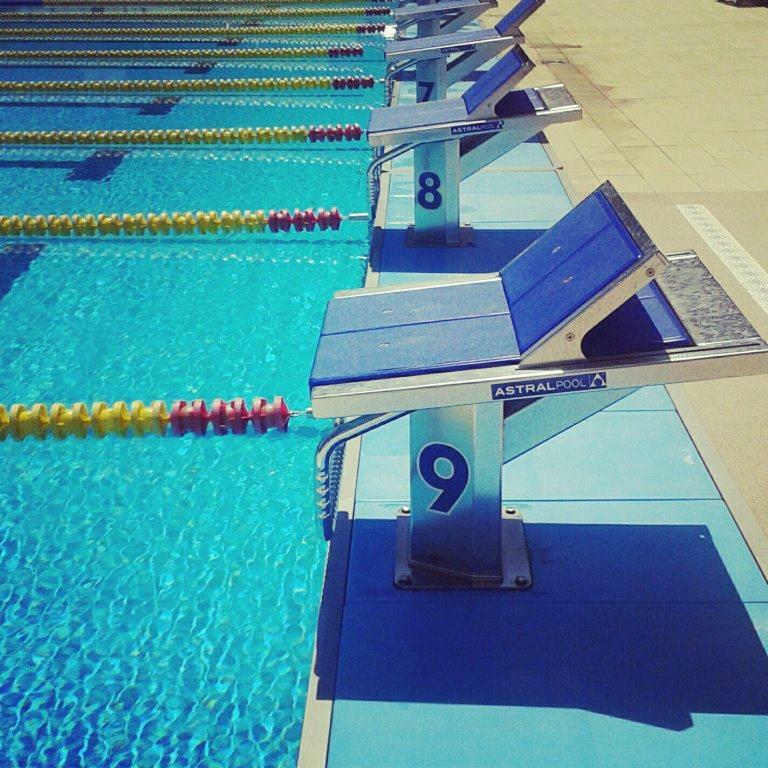 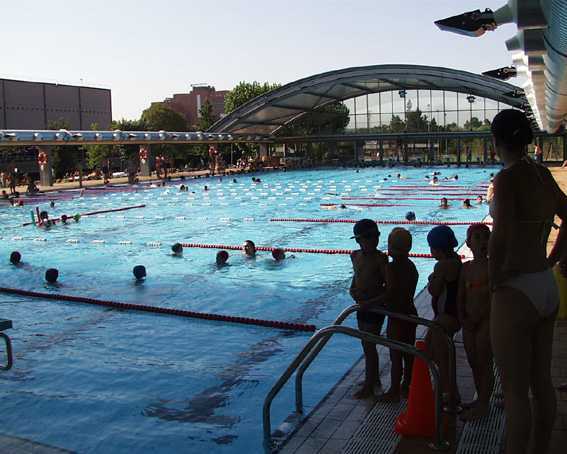 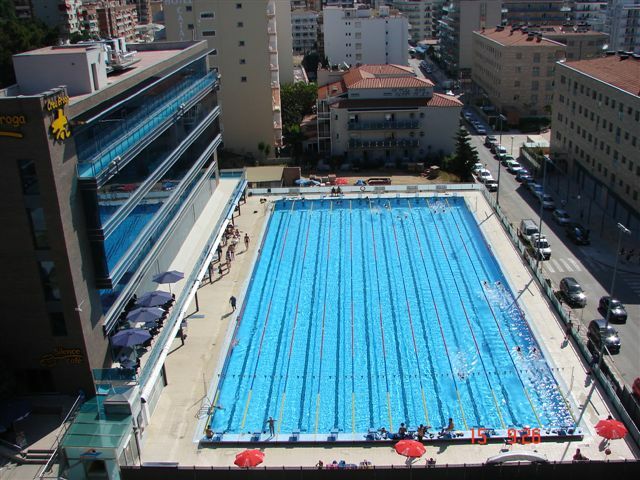 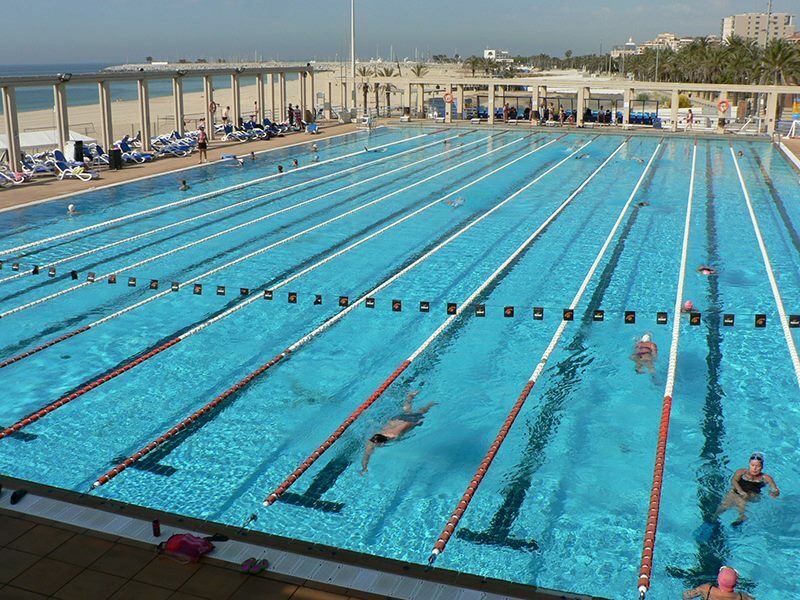 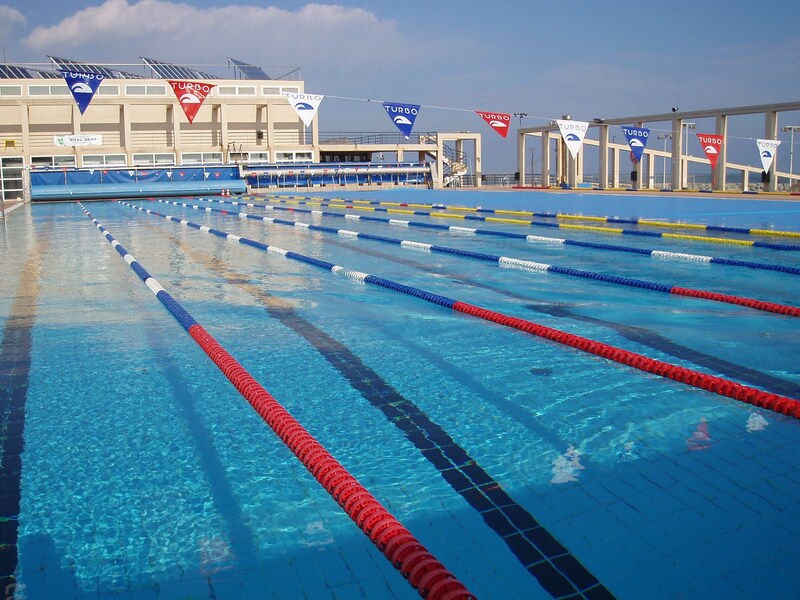 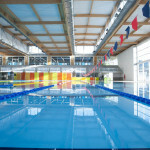 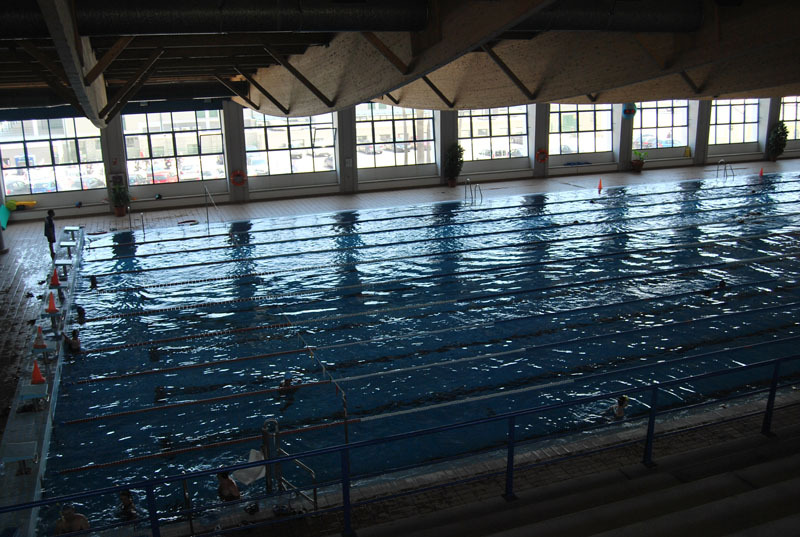 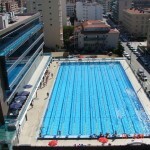 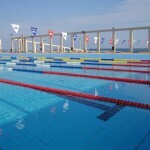 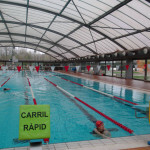 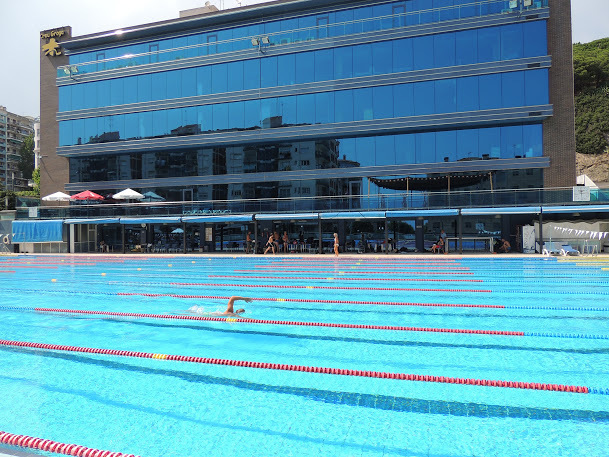 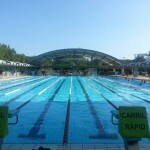 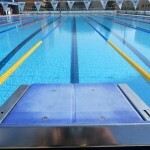 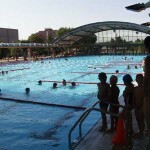 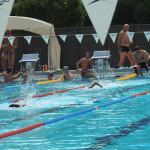 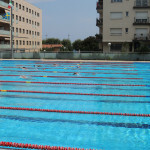 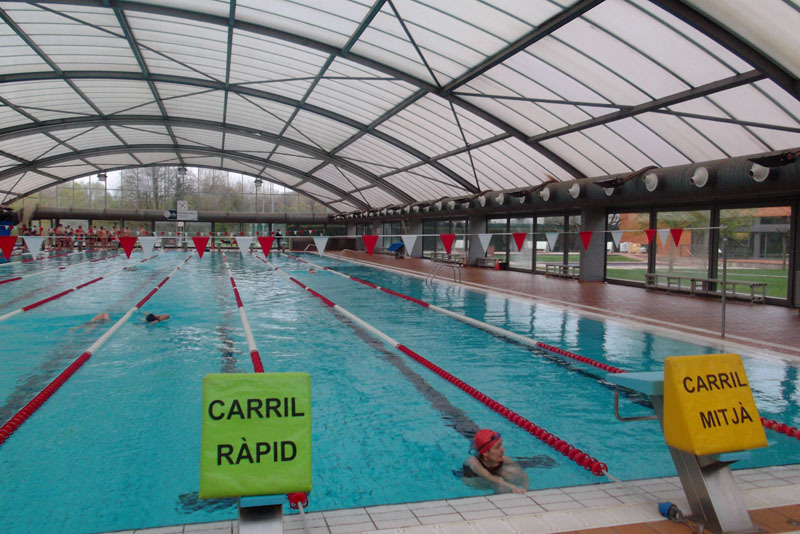 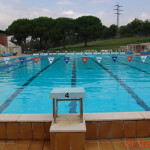 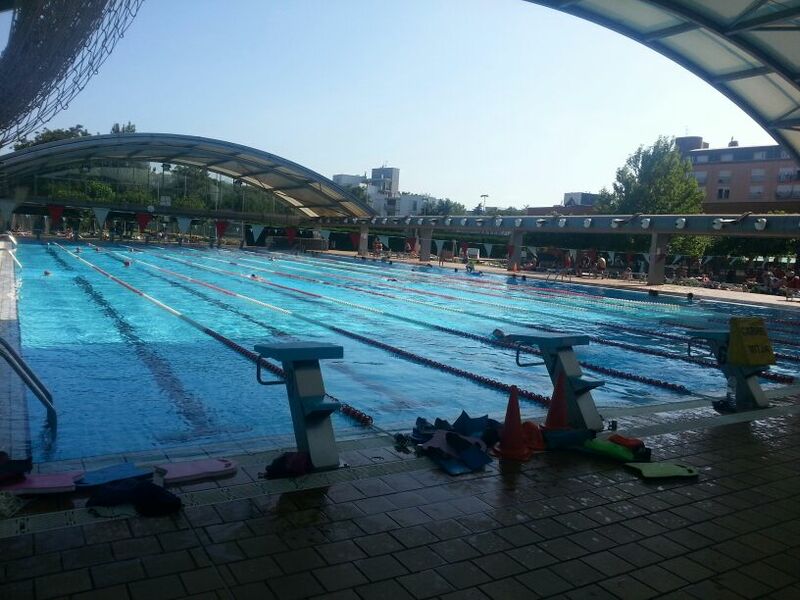 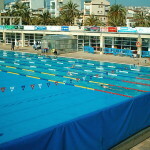 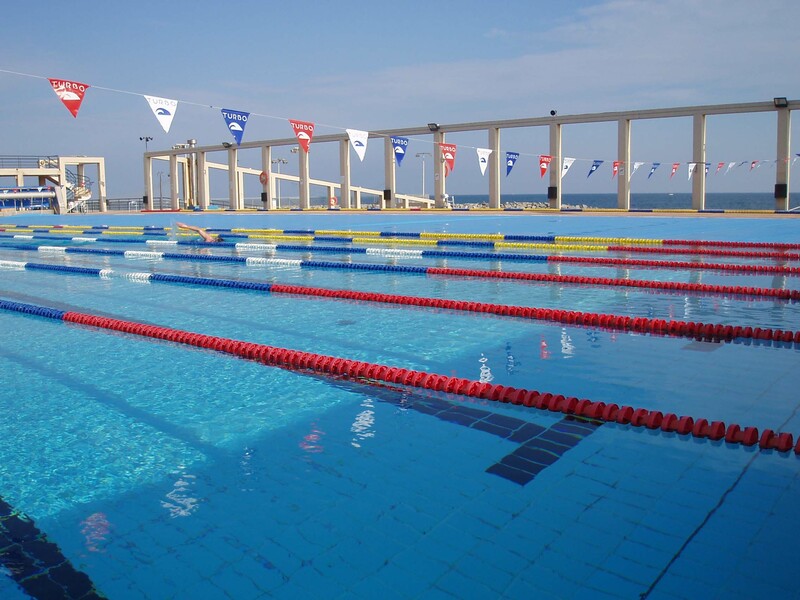 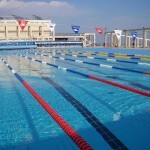 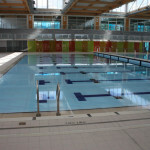 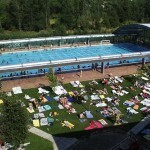 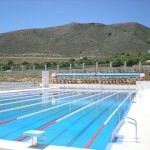 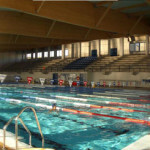 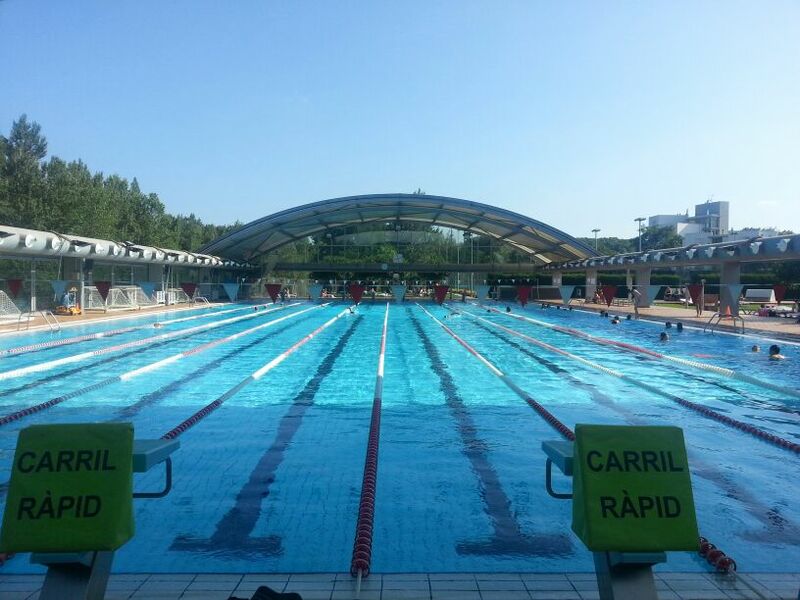 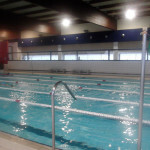 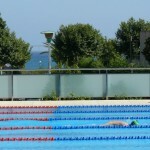 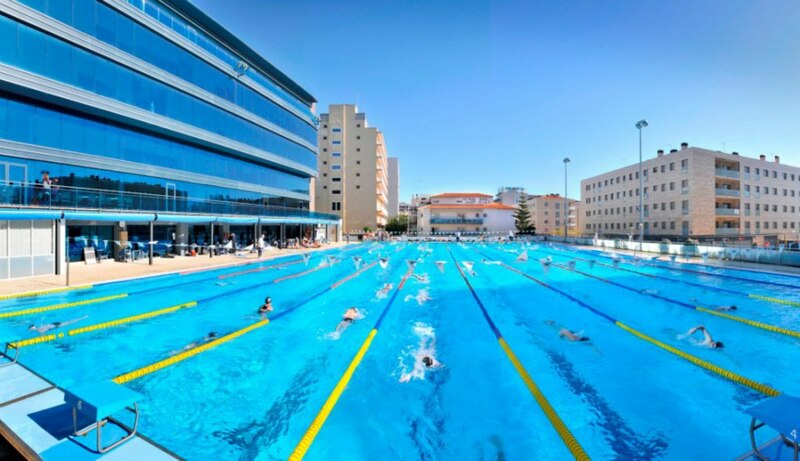 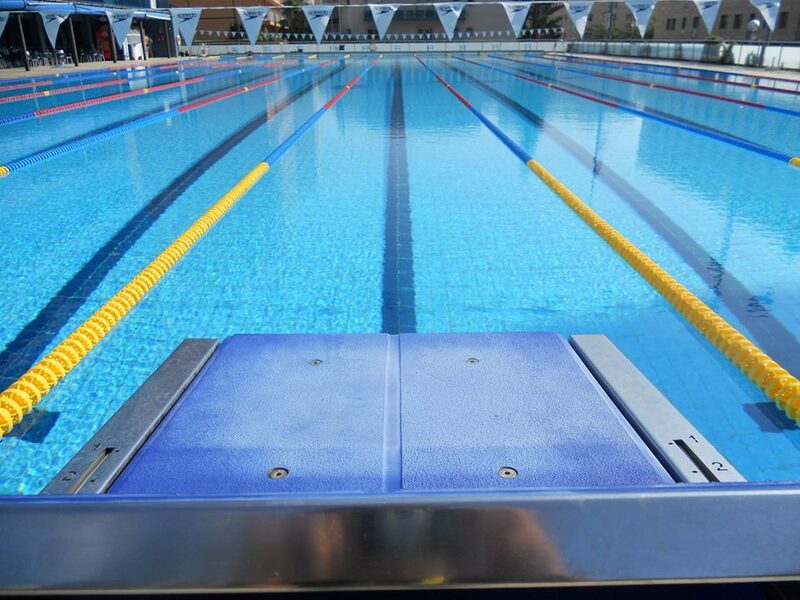 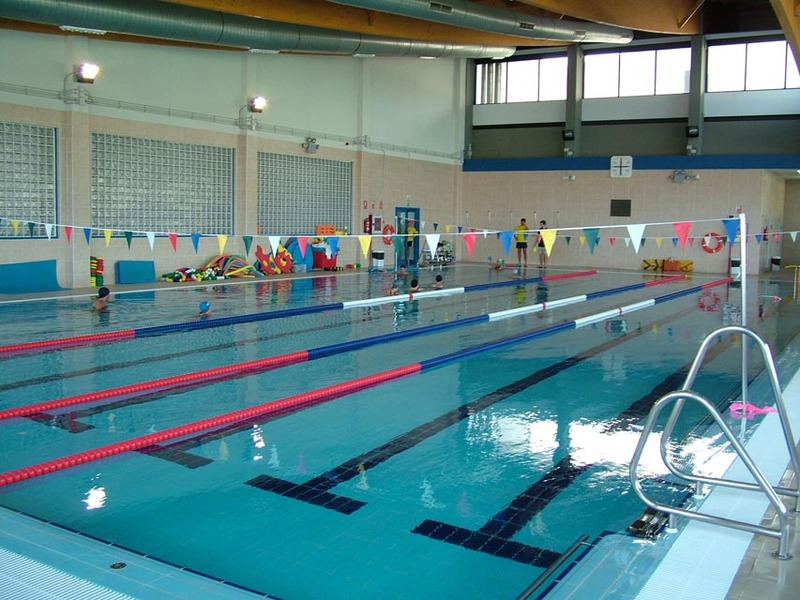 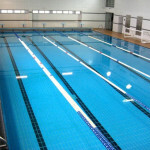 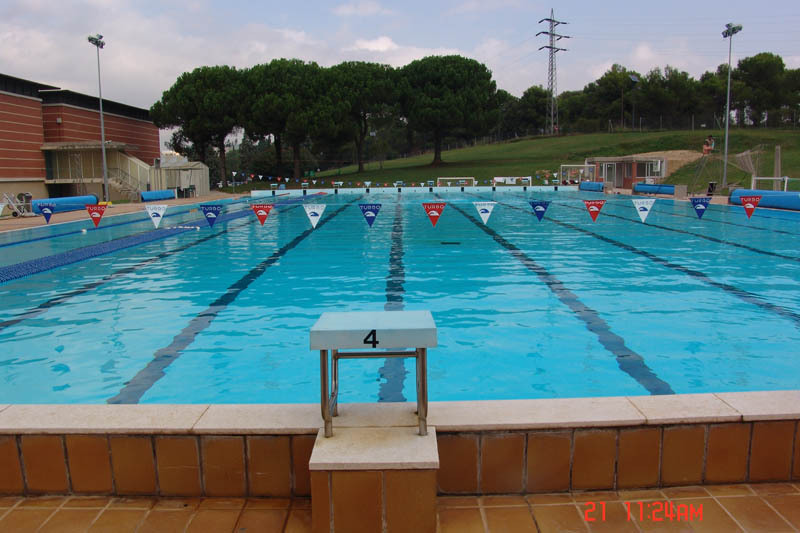 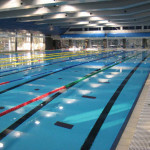 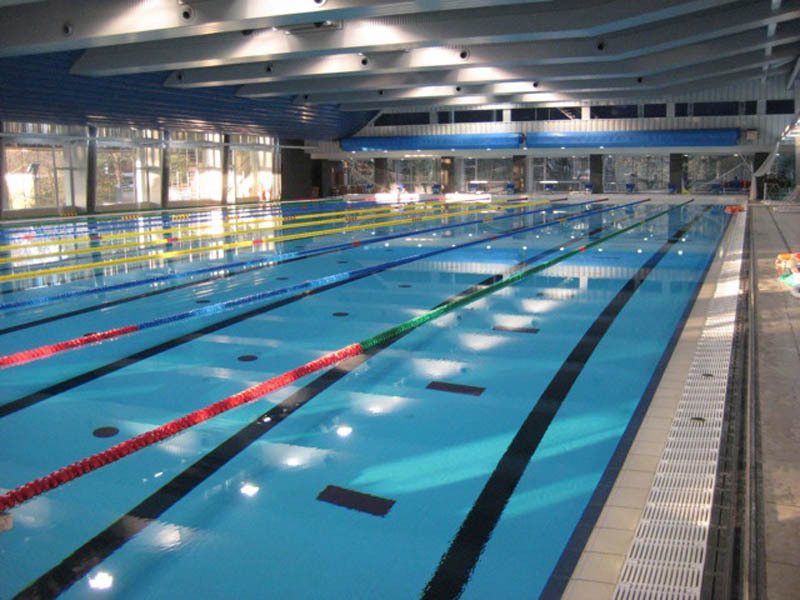 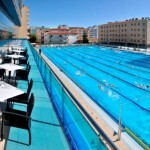 Lanes: 10 x 50 m.
Water temperature: 26 – 27 ºC. 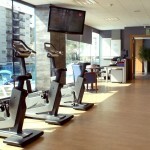 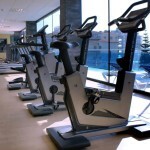 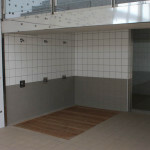 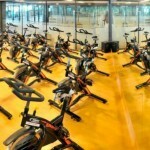 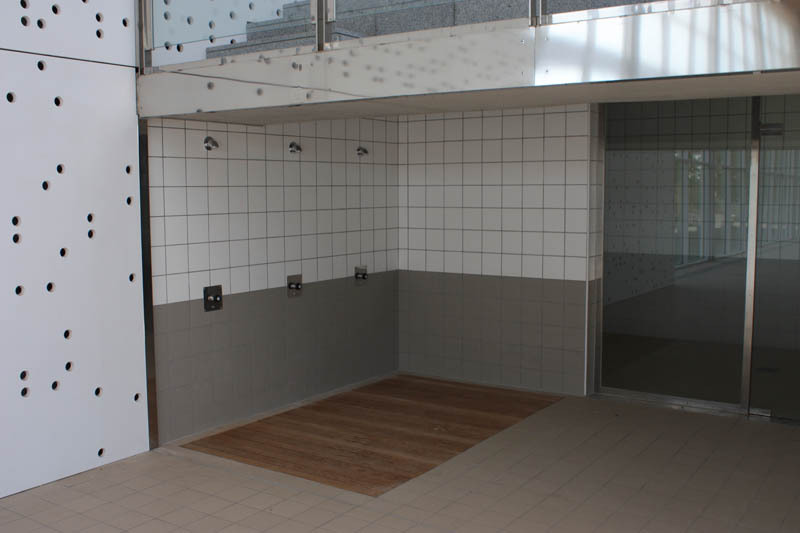 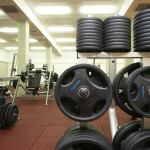 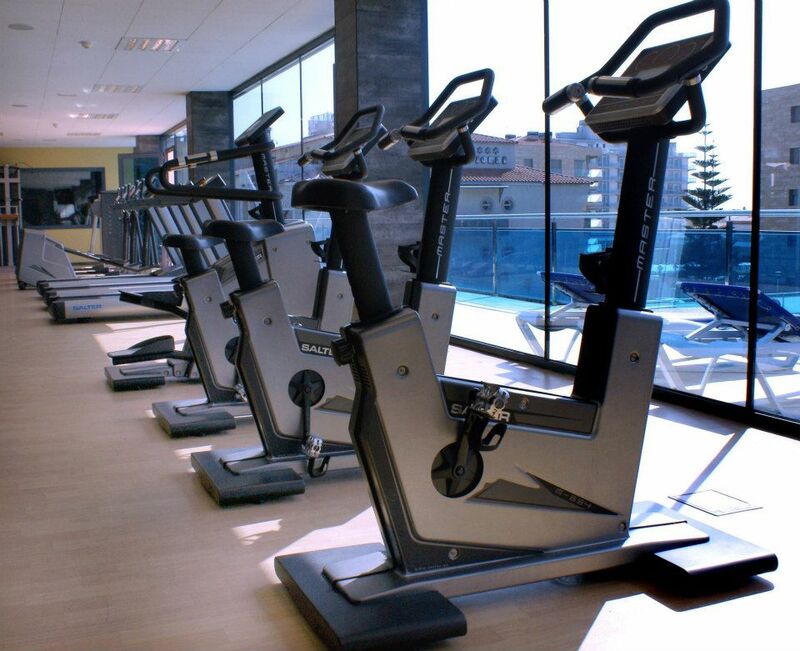 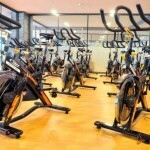 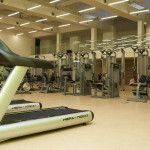 Extras: Dressing rooms for groups, 400m2 fitness room, 2 additional activity rooms, Cycling room. 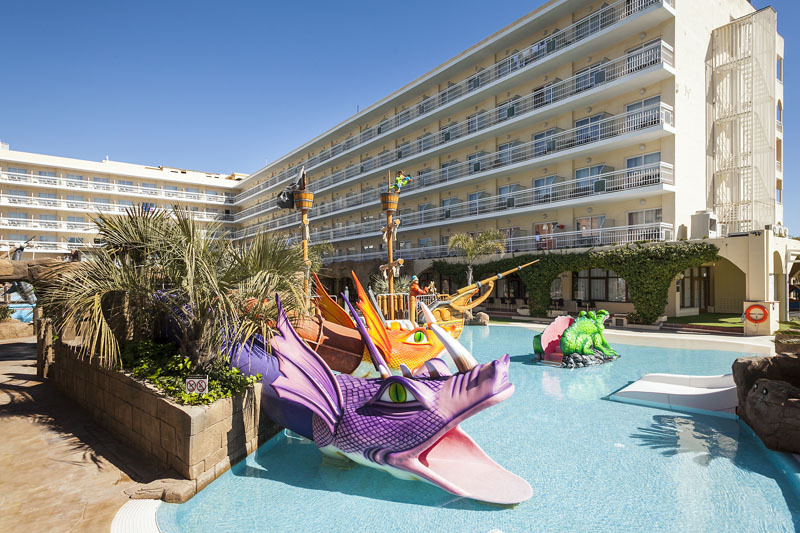 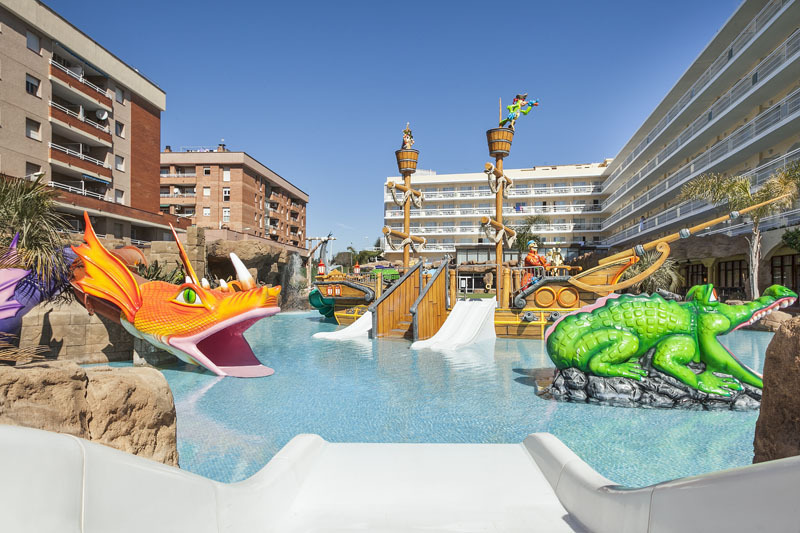 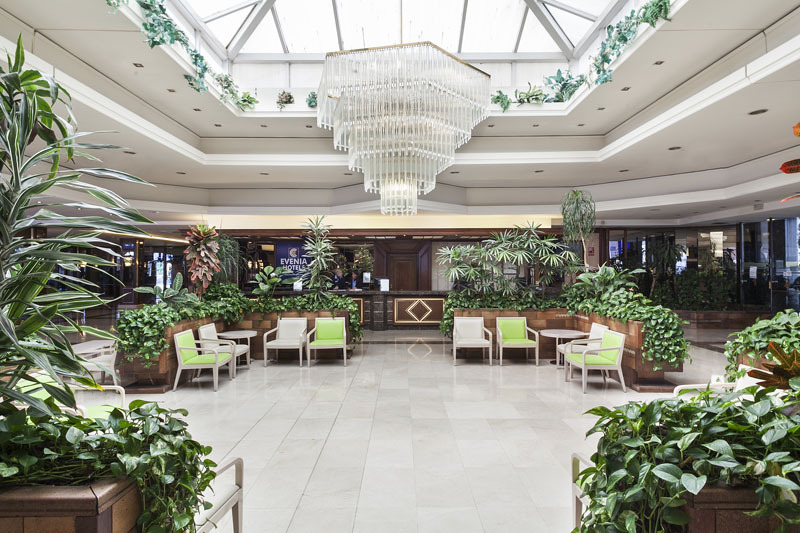 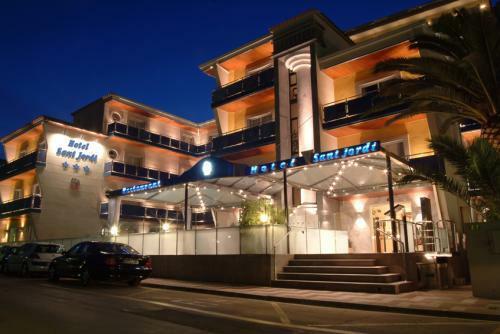 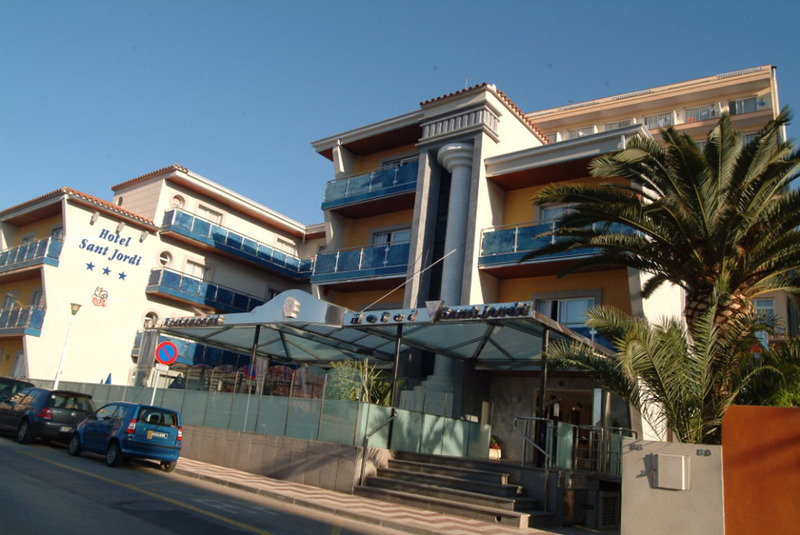 The 4 star resort is located in a quiet area of Lloret de Mar and just a few minutes from the Pool, the town centre and the beach, where you may find shops, restaurants and nighlife. 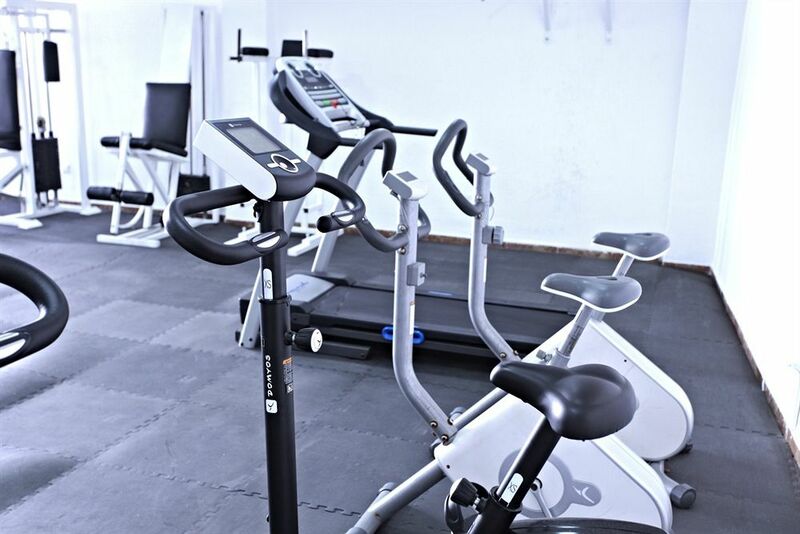 Services: Air conditioned or heated rooms, Internet corner, Buffet restaurant, 3 swimming pools, Fitness centre with Spa, Games room, Tennis courts, Nightlife. 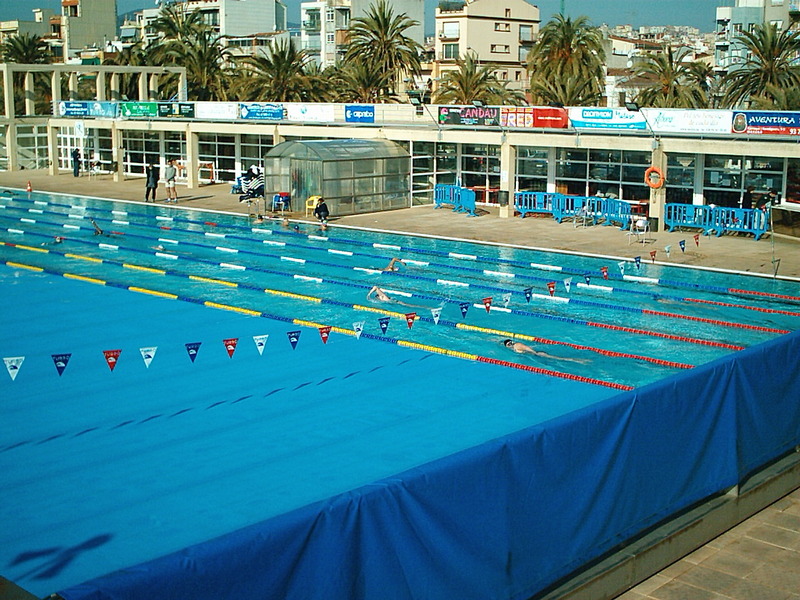 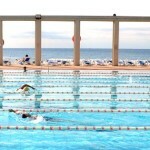 Calella is a very well-known coastal resort and has been awarded the Swimming Sports Destination label by the Catalan government qualifying the city’s efficiency in hosting swimming clubs from all over the world. 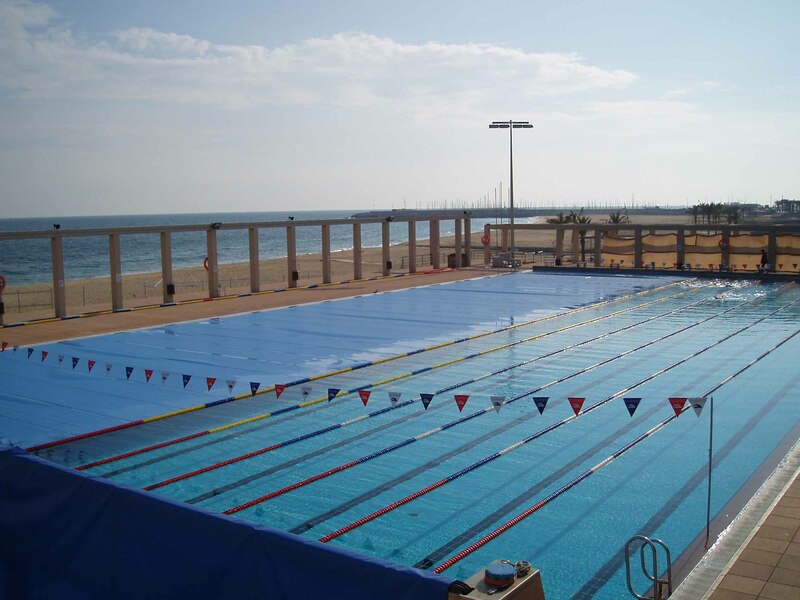 The town of Costa del Maresme is only 45km away from Barcelona and it has very good transport links with the Catalan capital. 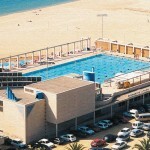 The swimming centre has an outdoor pool that can be used all year round which is 100m from the beach. 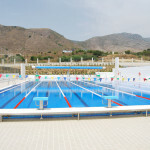 The microclimate of the area – little rain, lots of sunshine, and average temperatures of above 10º C in the coldest month – makes it an ideal spot for outdoor sports. 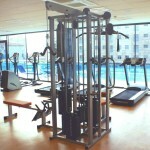 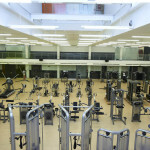 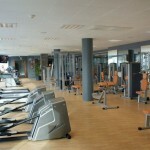 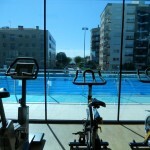 There is also a fitness centre and weights room next to the pool. 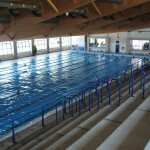 Distance to accommodation: same complex. 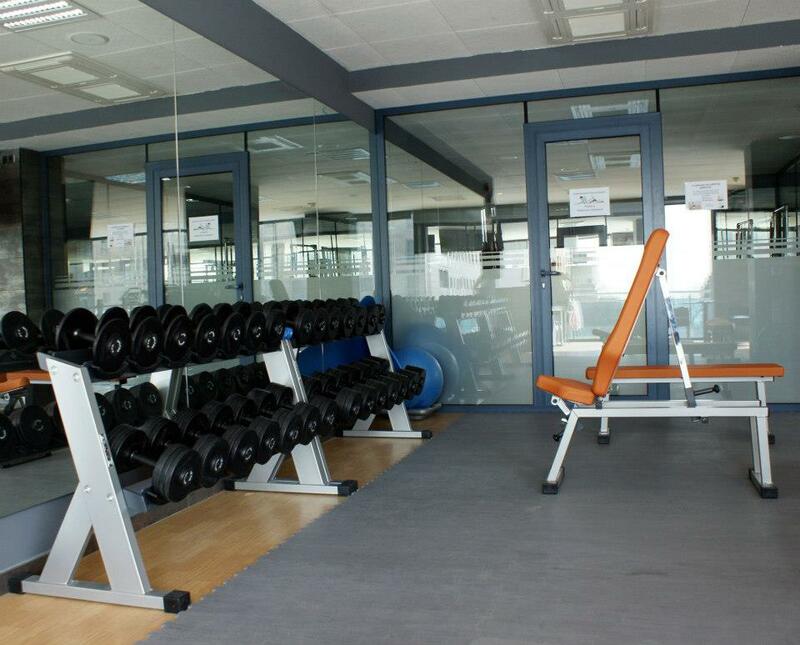 Dimensions: 50 x 25 m.
Extras: 500 m2 fitness room, 2 additional activity rooms, Cycling room, Gym, Spa and wellness, Medical centre. 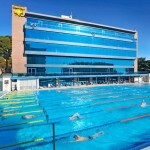 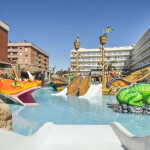 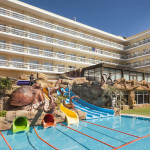 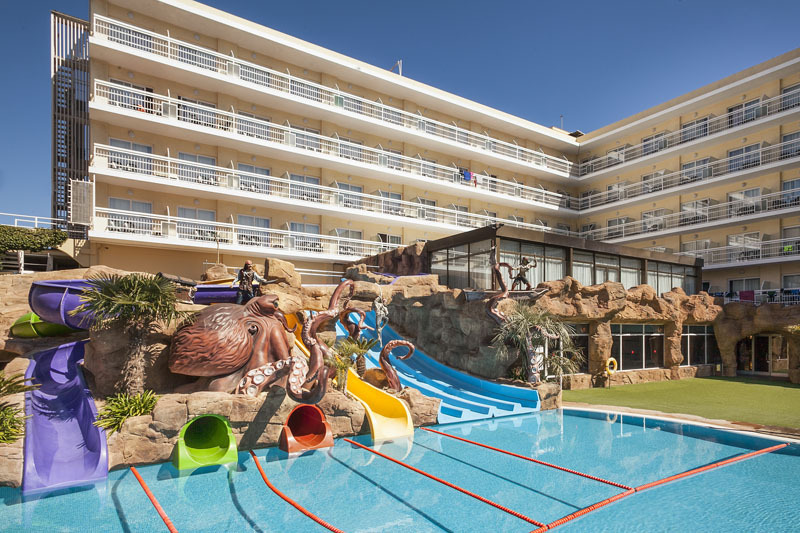 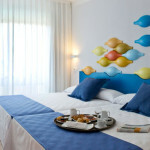 The Calella Swimming Complex offers 3* or 4* hotel accommodation options within very short distance. 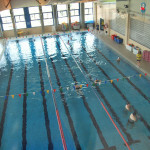 Both lodgings host swimming clubs all year round and are fully prepared to guarantee maximum comfort for visiting teams. 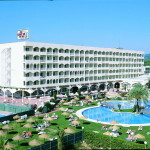 The city centre and the fantastic beach are also within walking distance from the two lodging proposals. 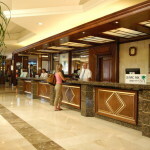 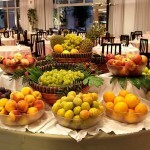 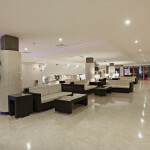 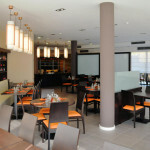 Services: Air conditioned and heated rooms,Swimming pool, Wi-Fi, Buffet restaurant, Bar, Spa, Tv hall, Meeting rooms. 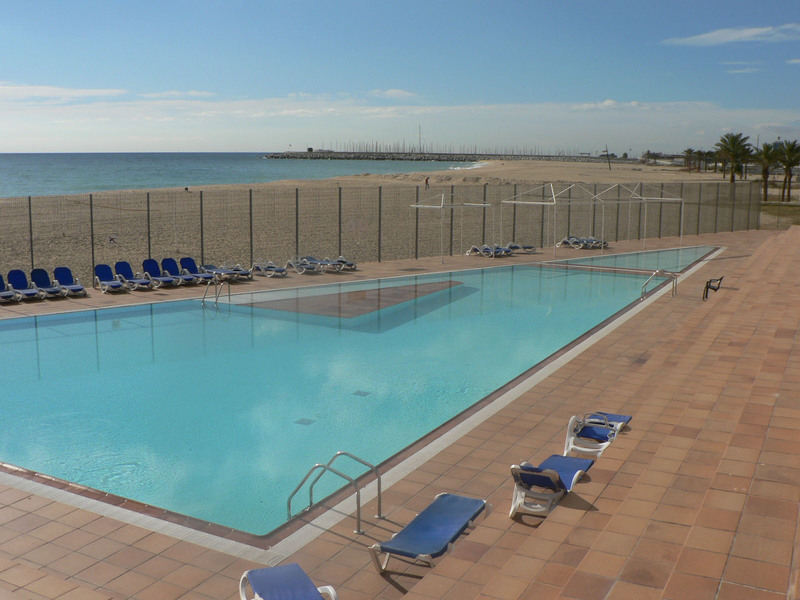 Mataró is a quiet city located in the Costa del Maresme, just 30km away from Barcelona. 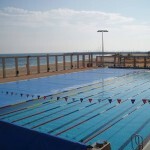 The town is full of character, with a large sandy beach, Marina, Promenade and reliable communications to get to Barcelona. 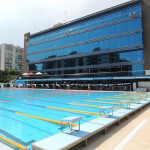 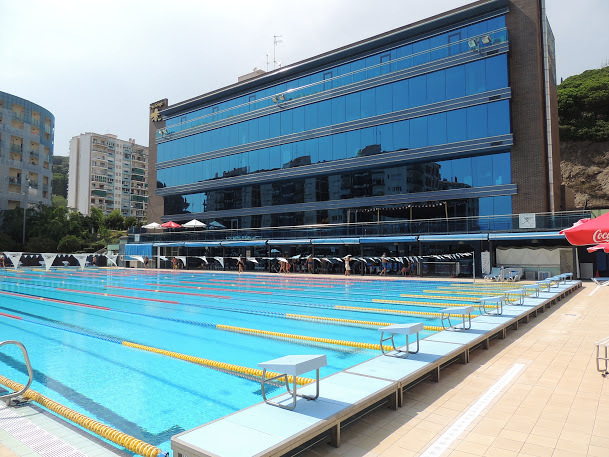 The amazing outdoor Olympic pool is based right on the beach, and there is a very strong swimming tradition in the city. 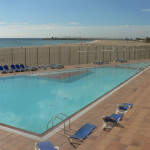 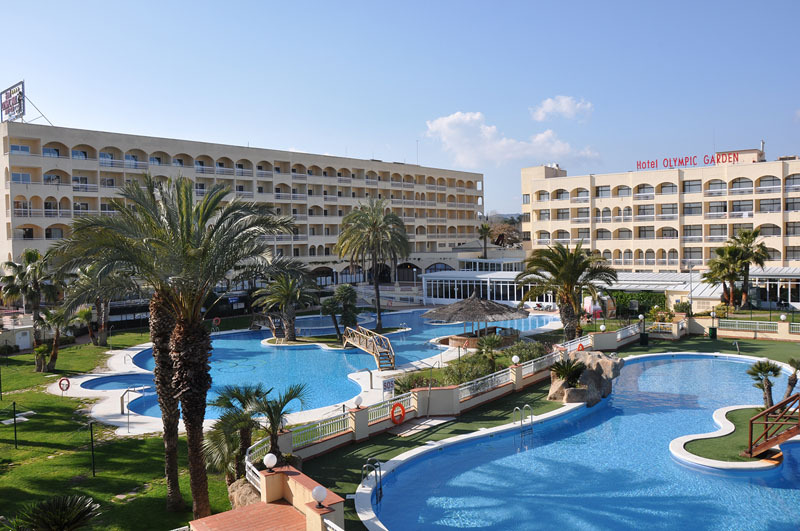 There are multiple facilities at the Club and the hotel is also near the beach and just a few minutes away from the pool. 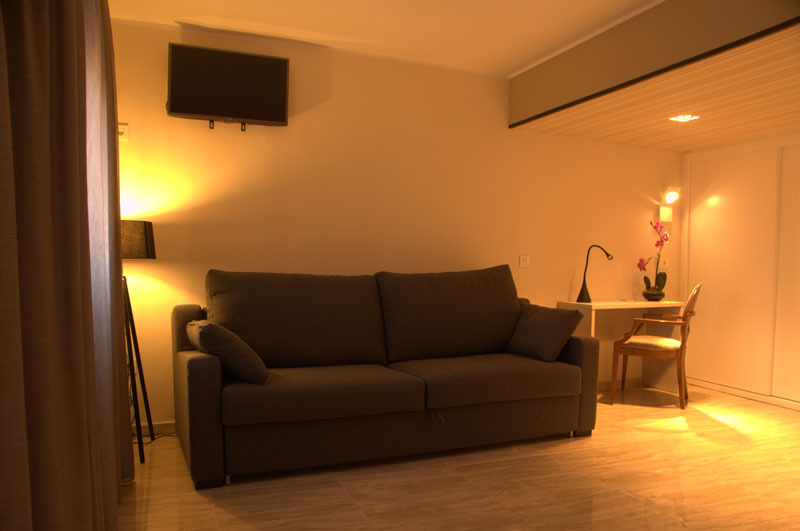 Distance to accommodation: 5 minutes’walk. 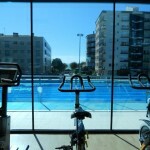 Extras: Indoor 25m pool, 450 m2 fitness room, Sports court, Terrace bar and solarium. 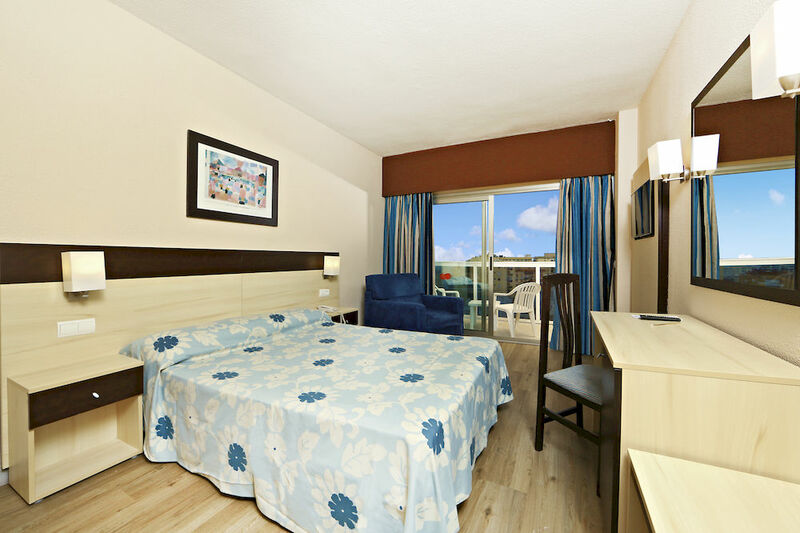 We suggest a newly renovated 3* hotel located right opposite the beach, and just a short stroll away from the swimming facilities. 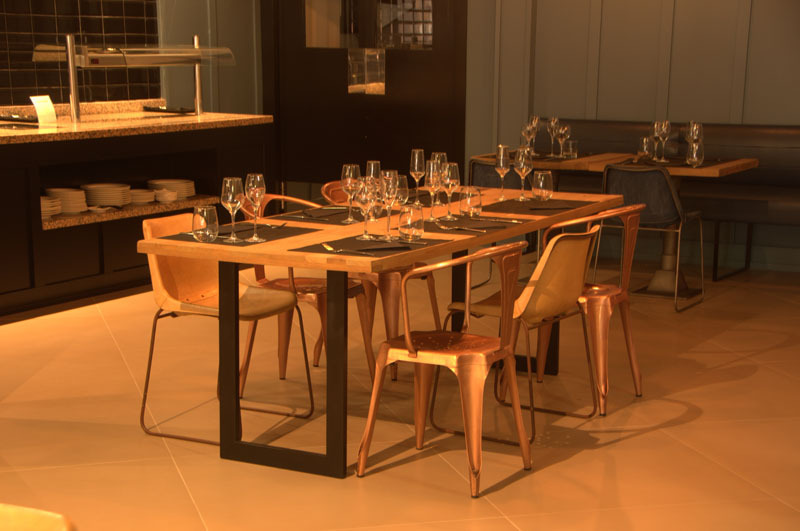 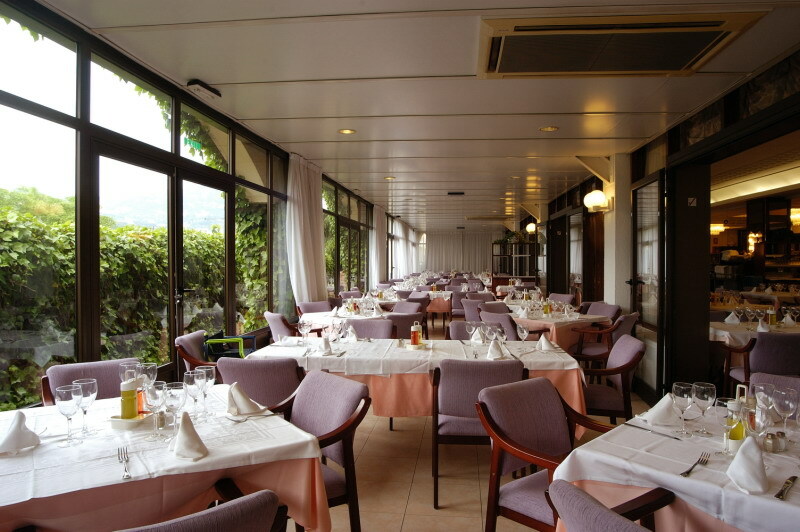 The lodge offers comfortable and fully equipped rooms, a Lounge Bar and spacious restaurant where quality and freshly supplied food is an absolute priority. 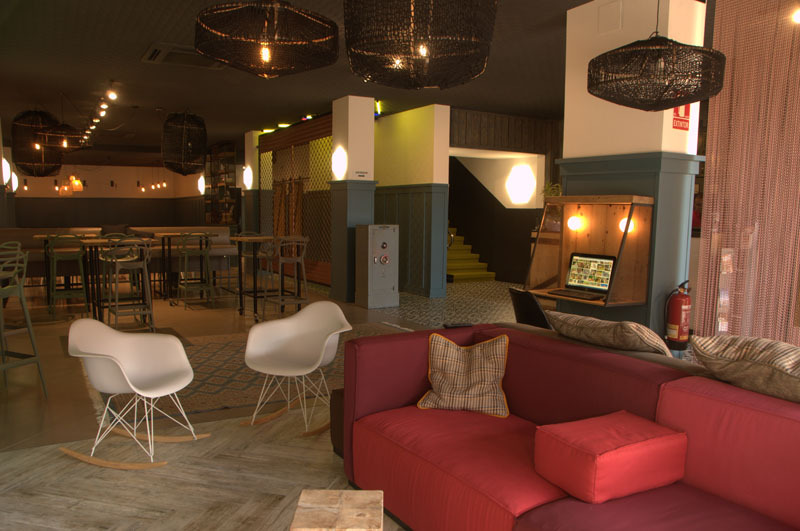 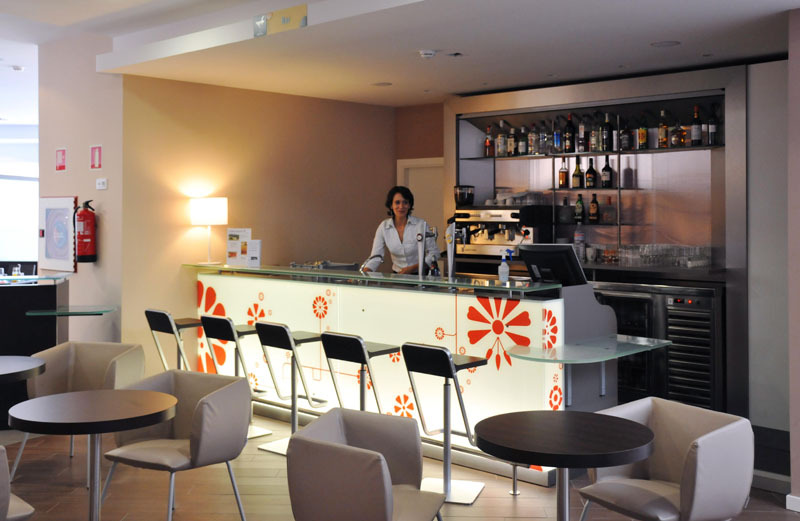 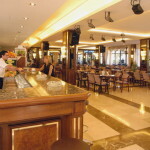 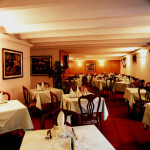 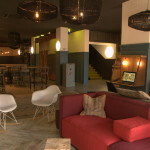 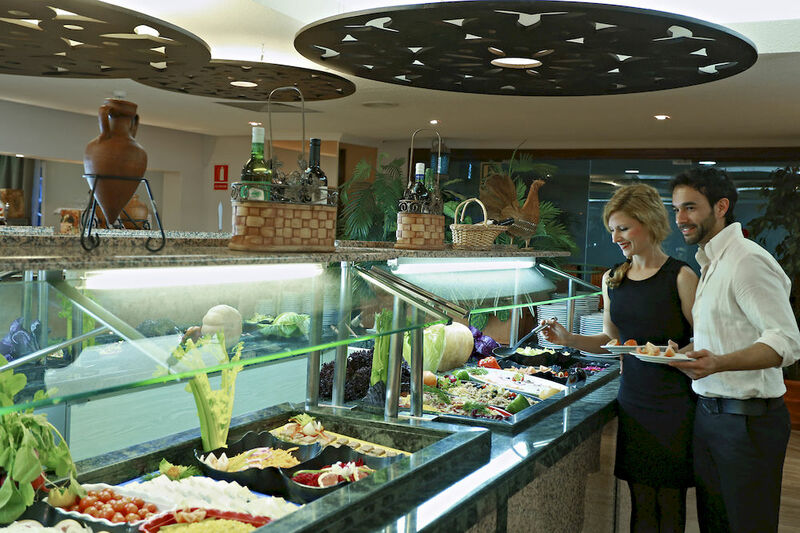 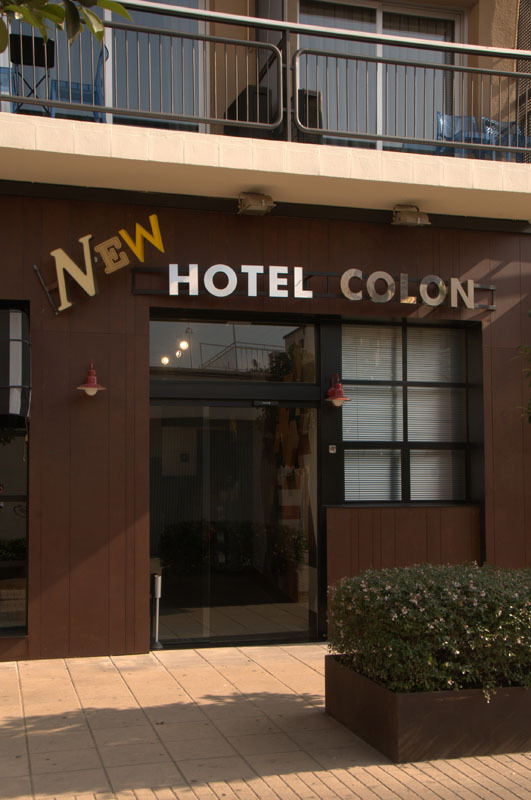 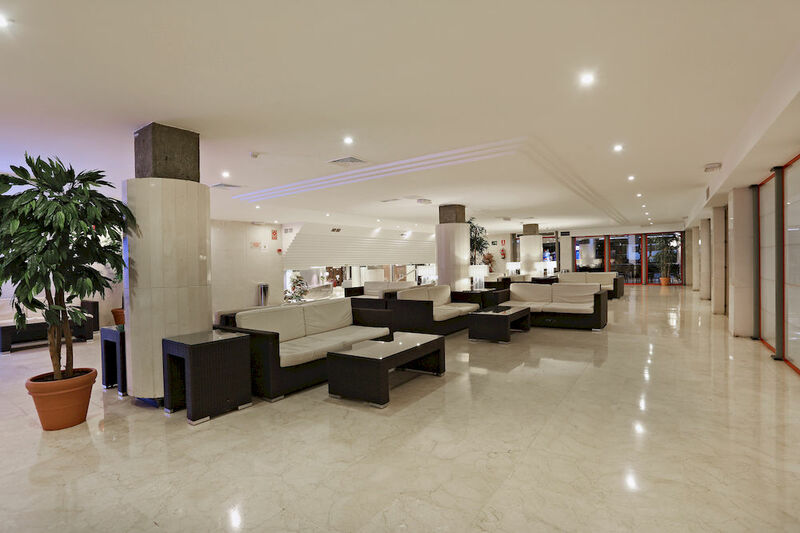 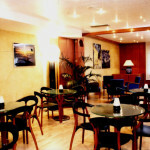 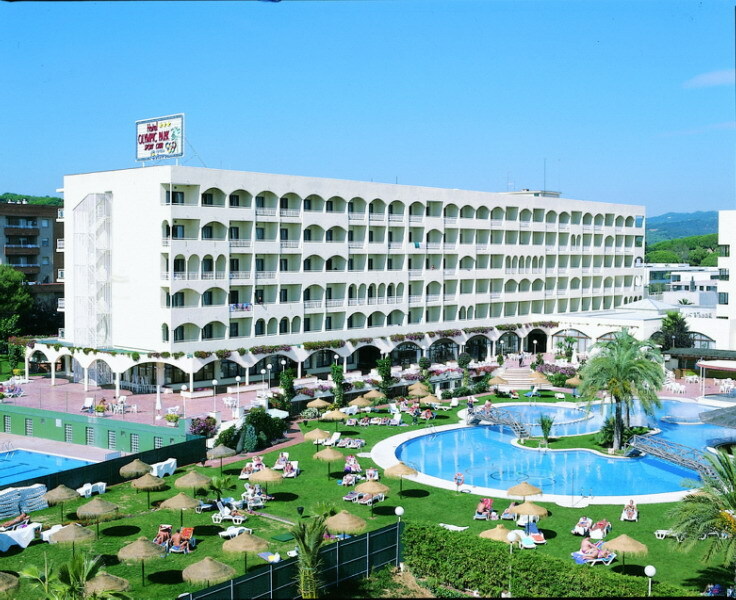 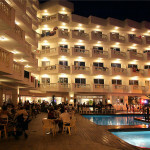 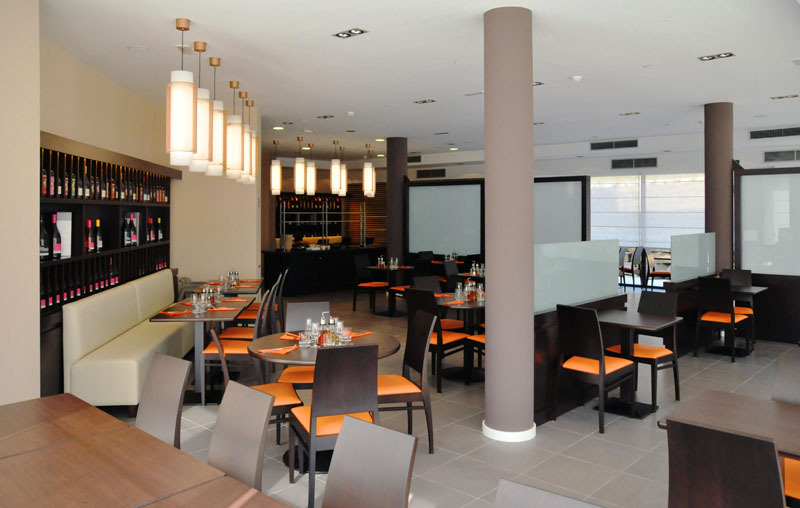 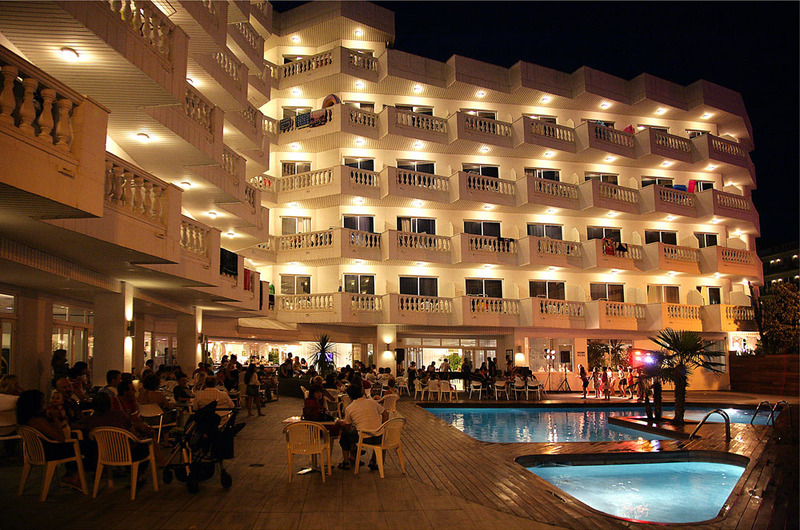 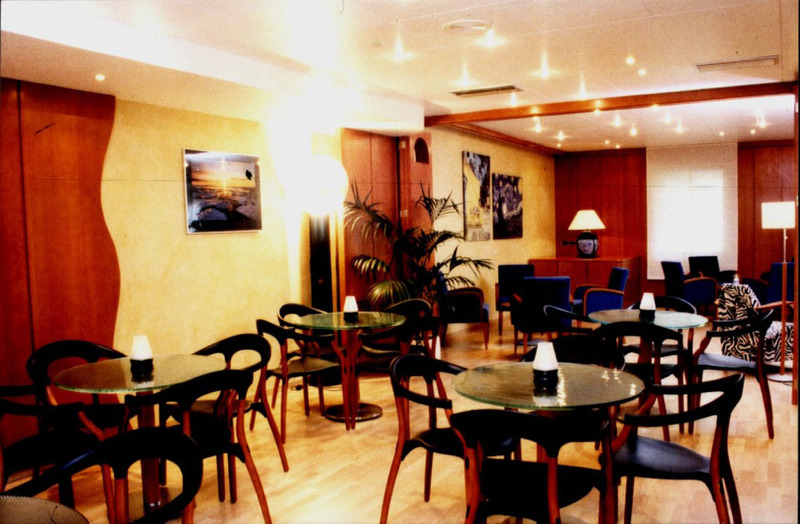 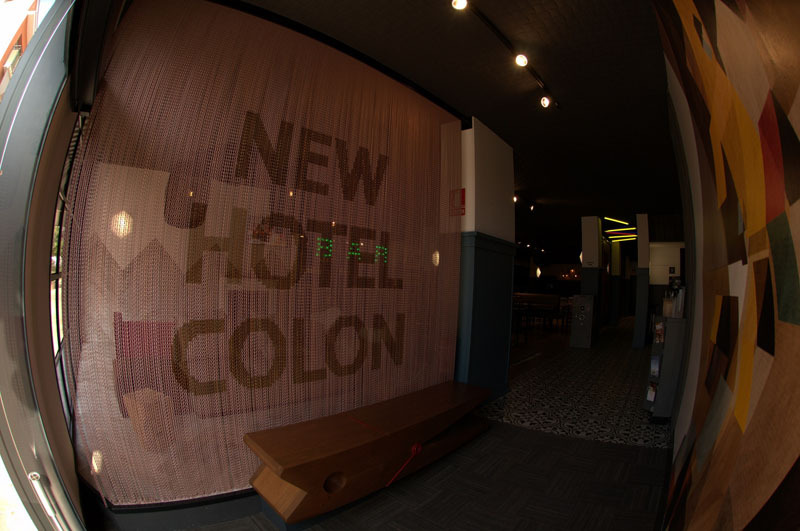 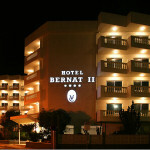 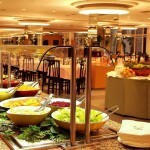 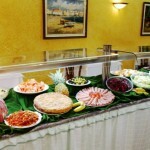 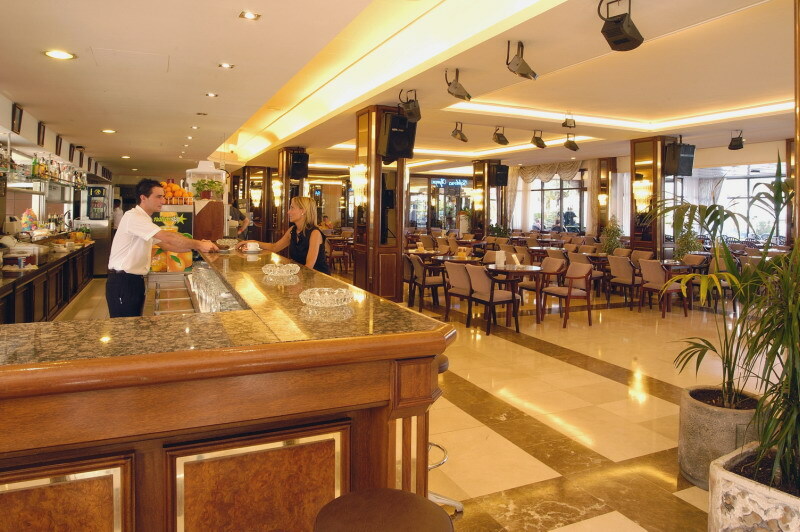 Services: Air conditioned and heated rooms, Wi-Fi, Buffet restaurant, Lounge Bar. 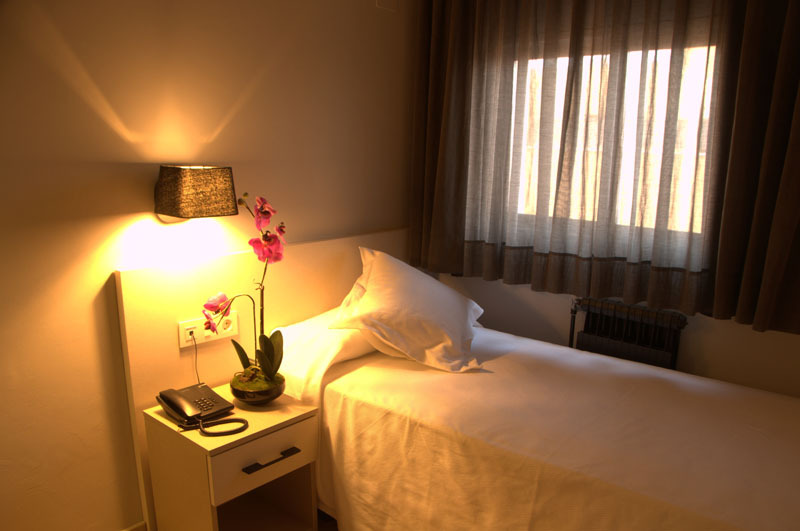 The charming city of Girona is a very popular destination in Catalonia, and regarded as one of the prettiest towns in the region with plenty of things to see and do. 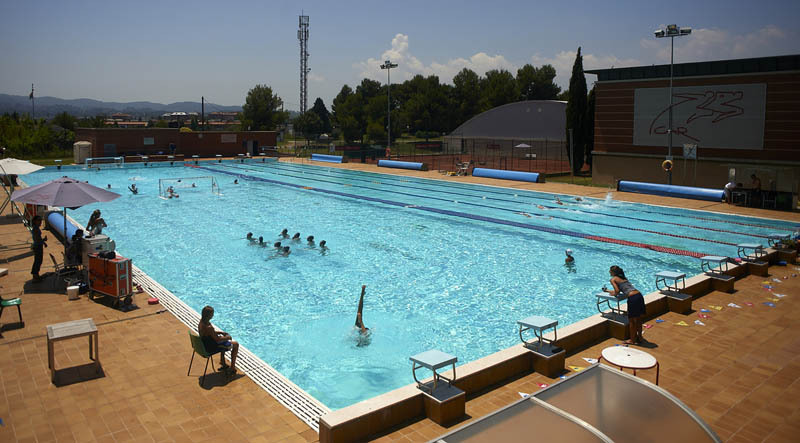 It is situated 50km from French border and 97km north of Barcelona, and it’s an ideal alternative if you are looking for new venues. 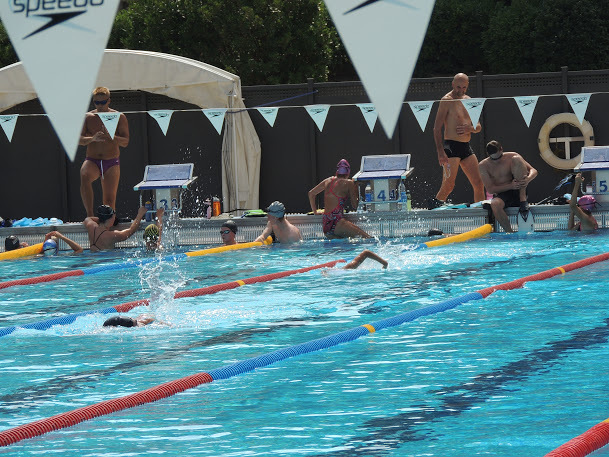 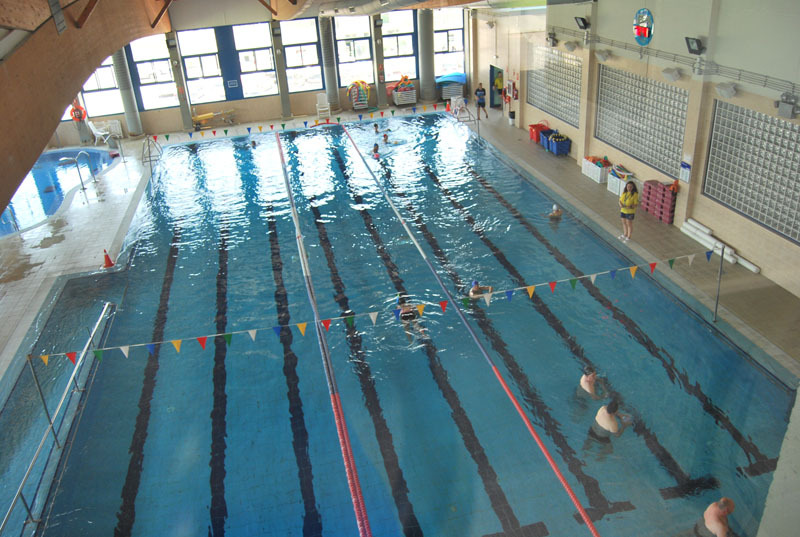 The Geieg is one of the best clubs in the region, with a wide range of facilities available. 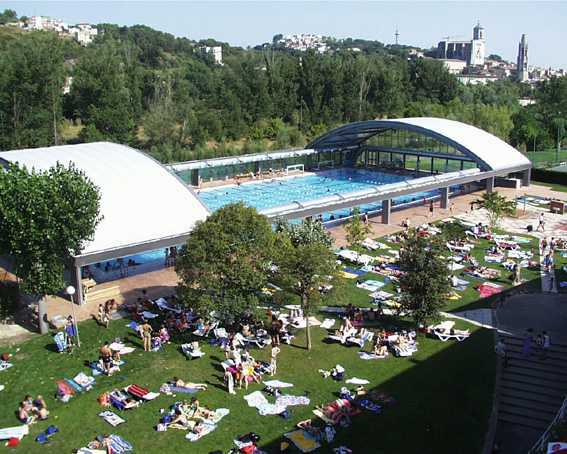 The swimming pool is found just outside the city centre, within a short walk away to a convenient shopping mall and the hotel complex. 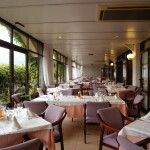 Type: indoor / outdoor (retractable roof). 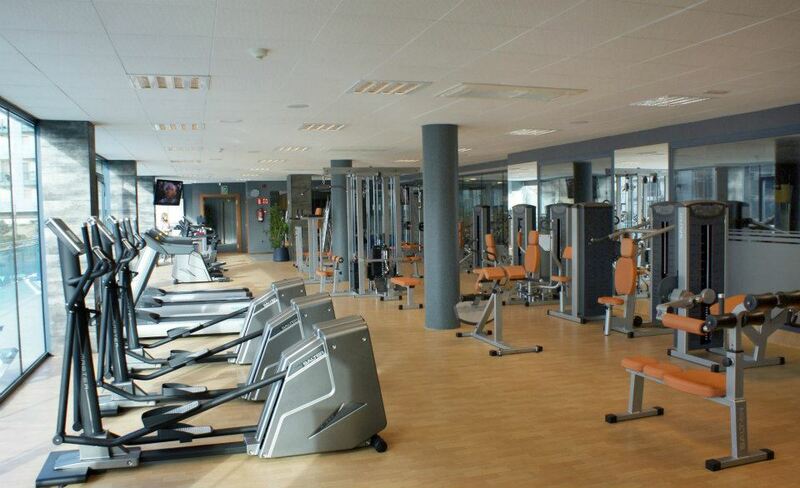 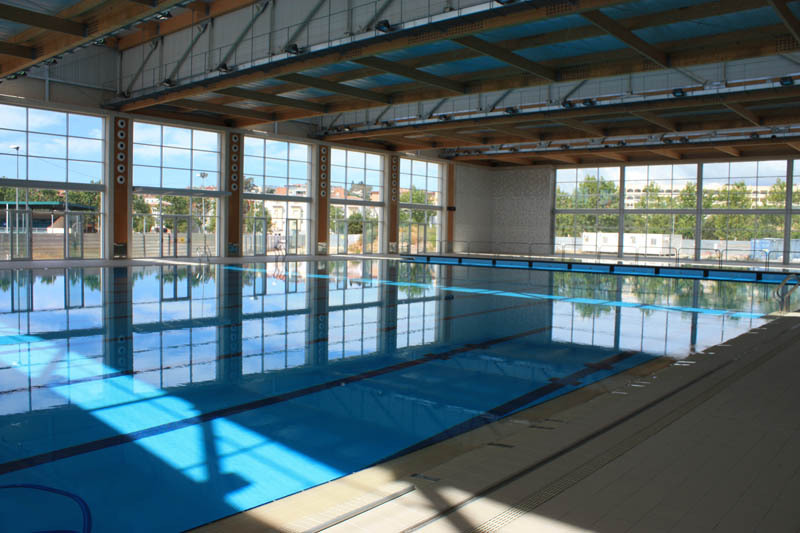 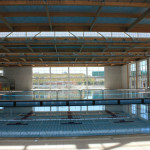 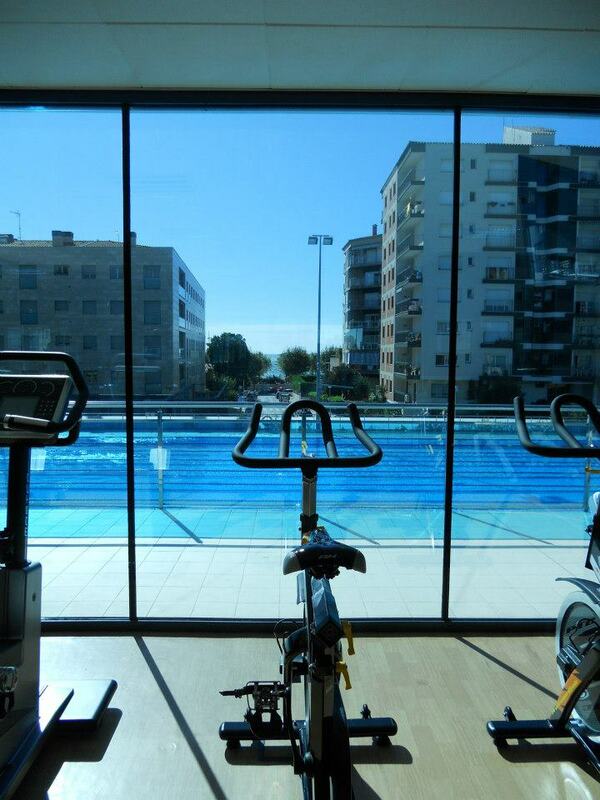 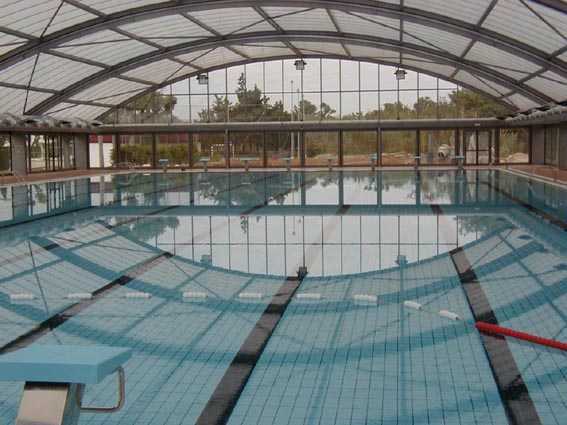 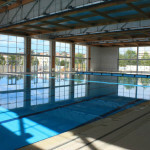 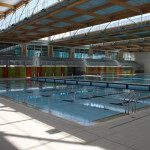 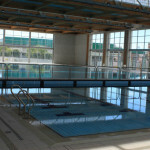 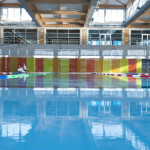 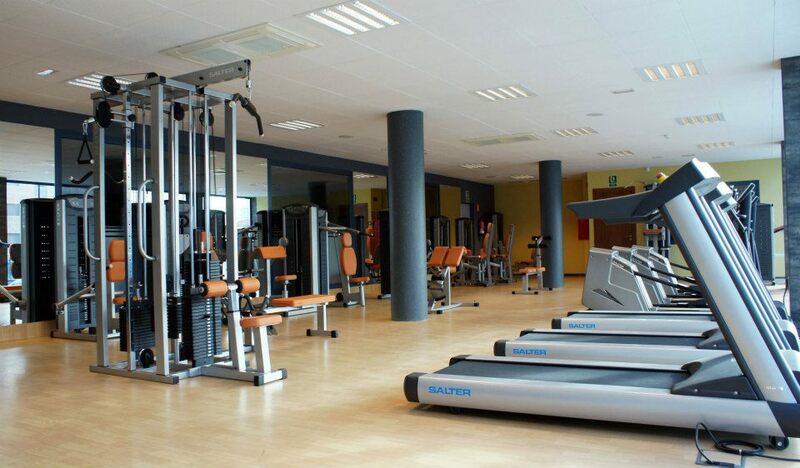 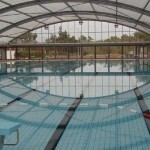 Dimensions: 50 x 21 m.
Extras: Indoor 25m pool, Fitness gym, Spa area Tennis and padel, Bar and restaurant. 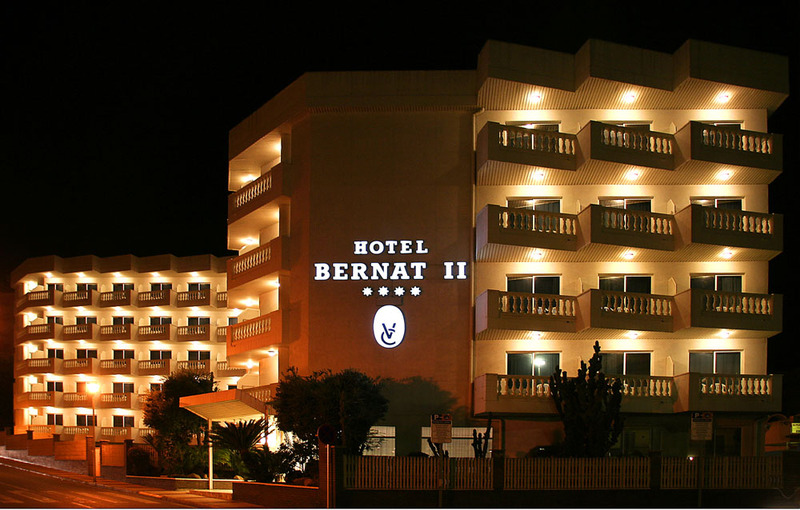 Our suggested hotel is located at the northern entrance to the city, just a few miles from the airport and close to the historic centre. 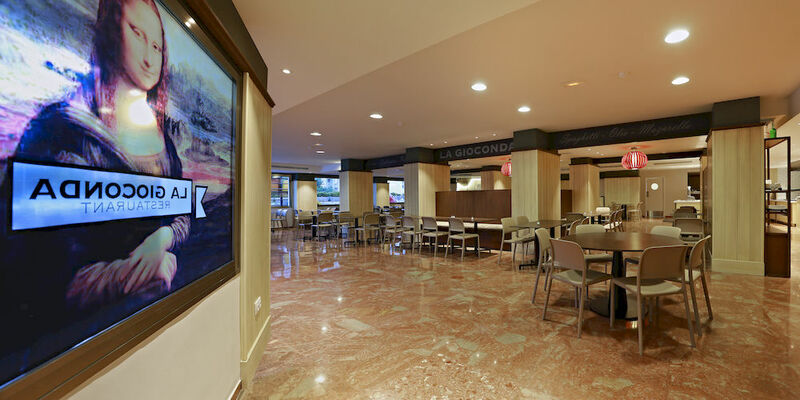 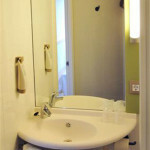 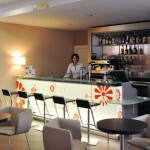 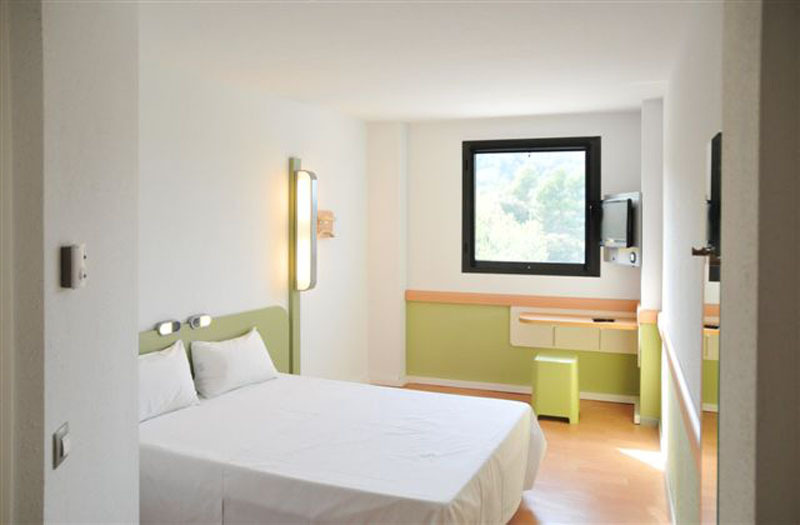 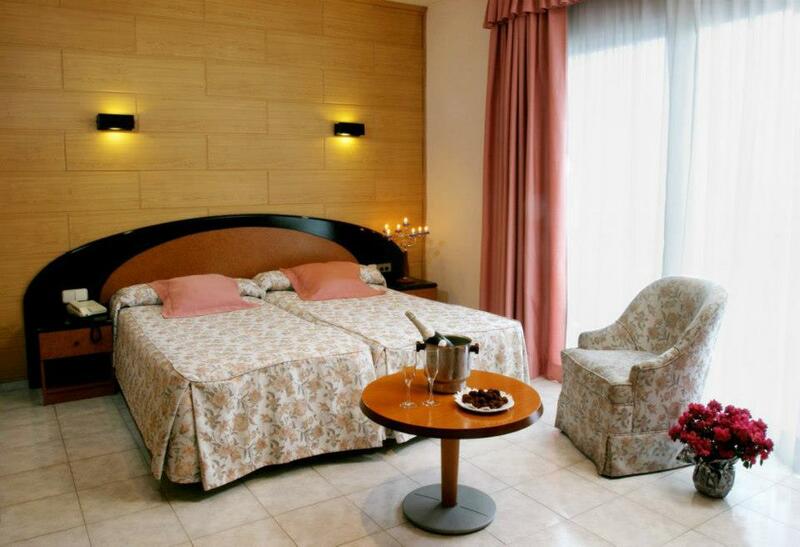 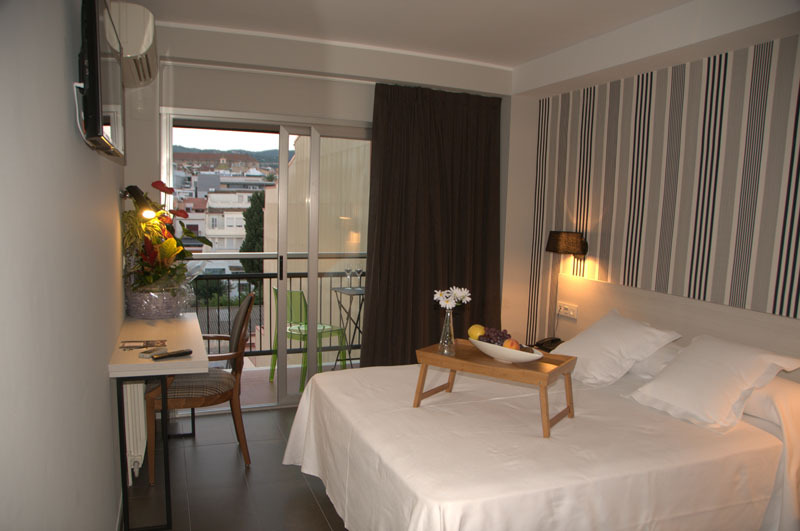 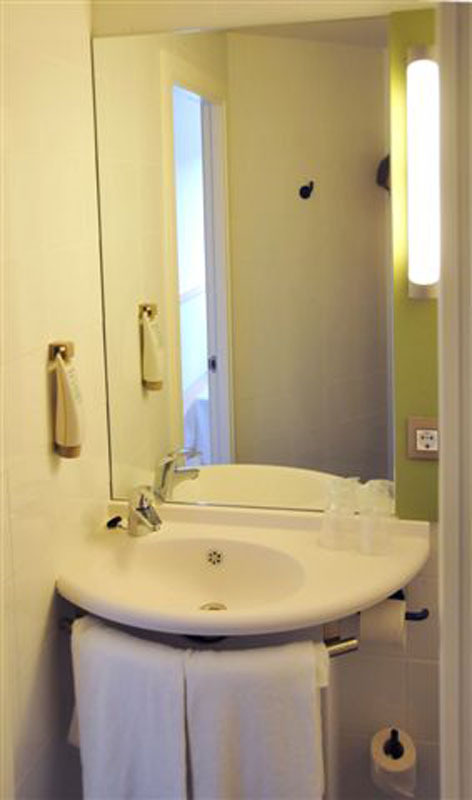 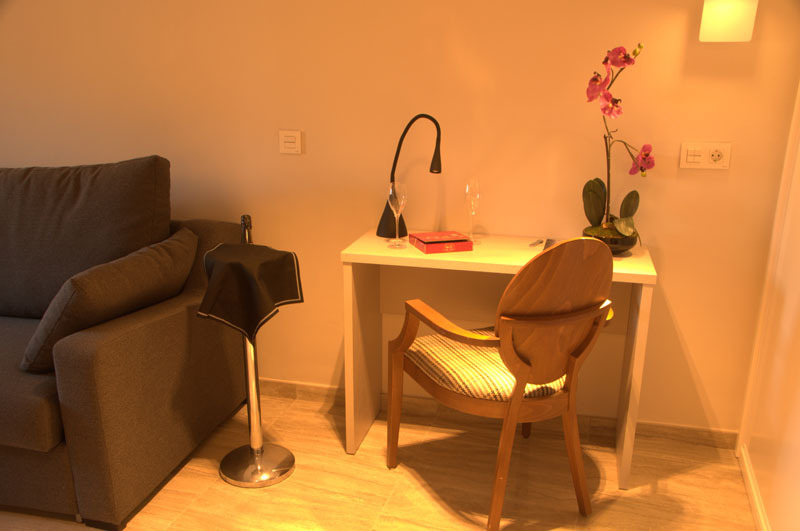 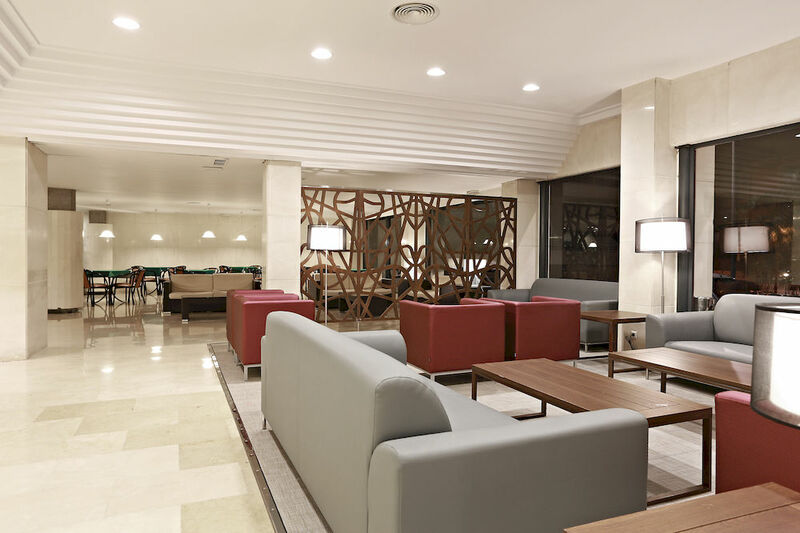 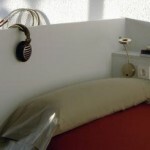 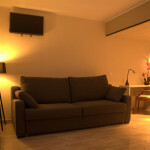 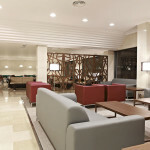 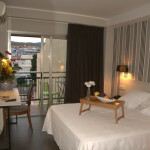 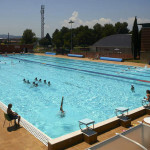 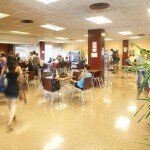 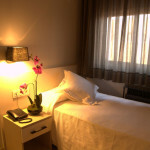 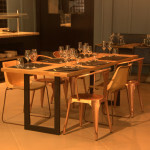 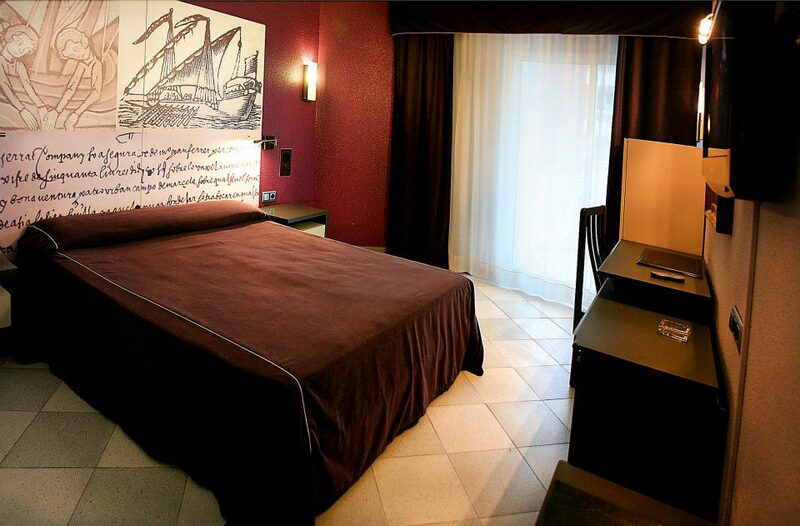 The hotel is surrounded by parks and is close to Girona’s main tourist attractions. 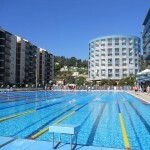 There are two shopping malls right on the doorstep and the swimming complex is just next door across the road. 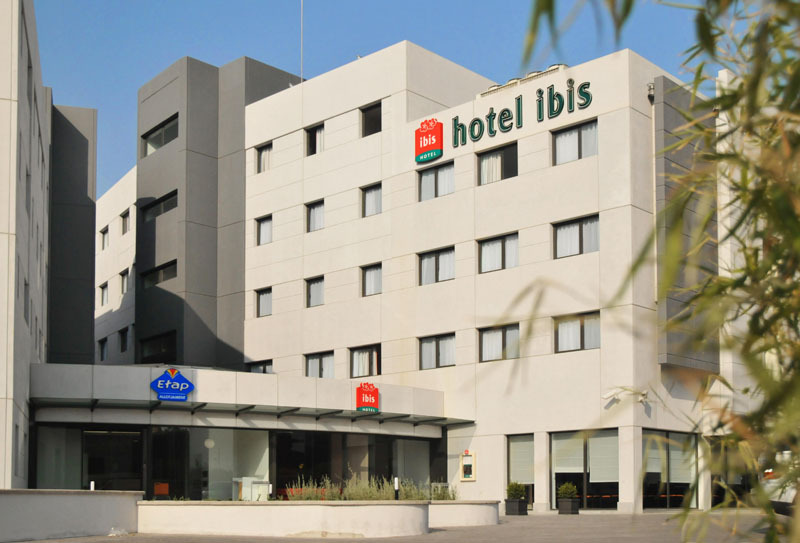 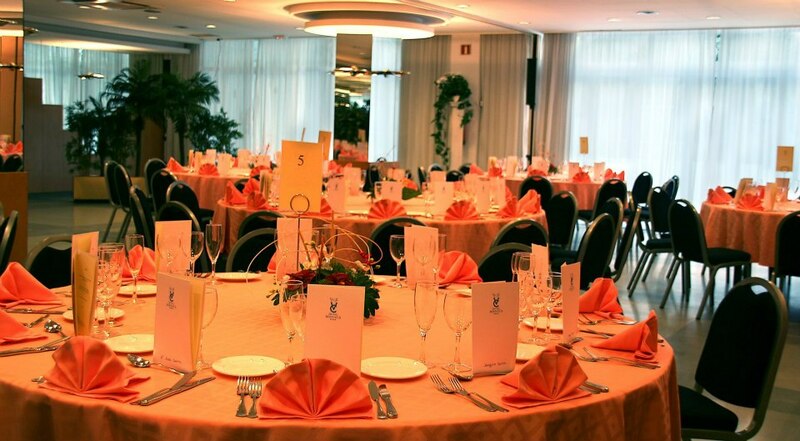 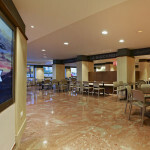 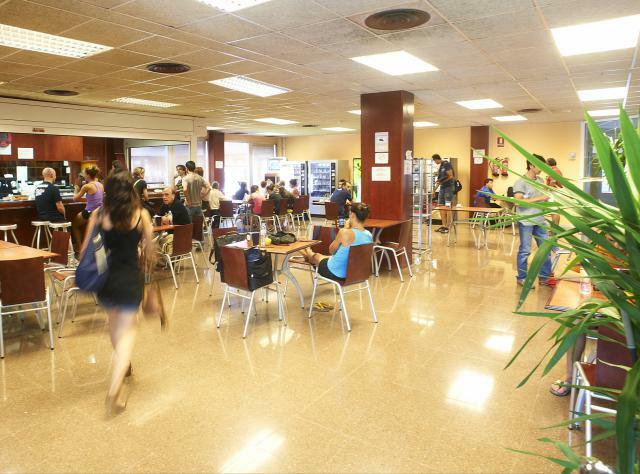 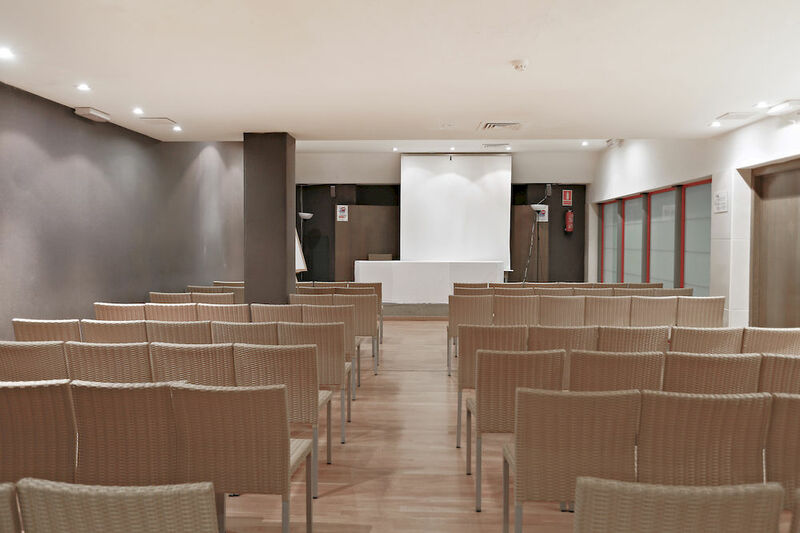 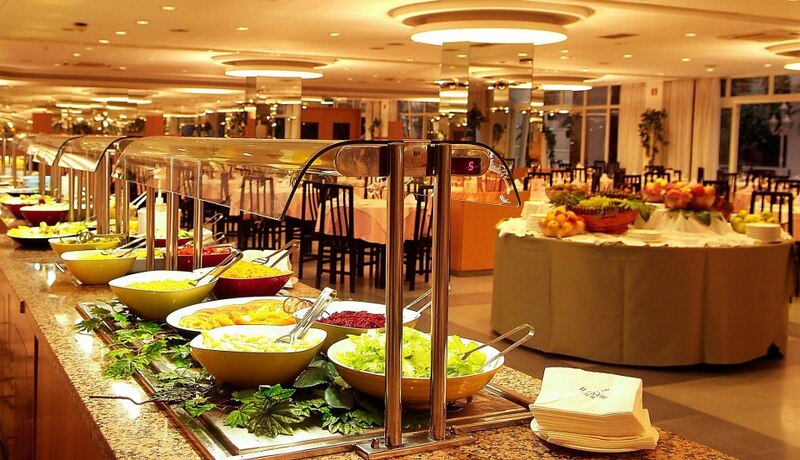 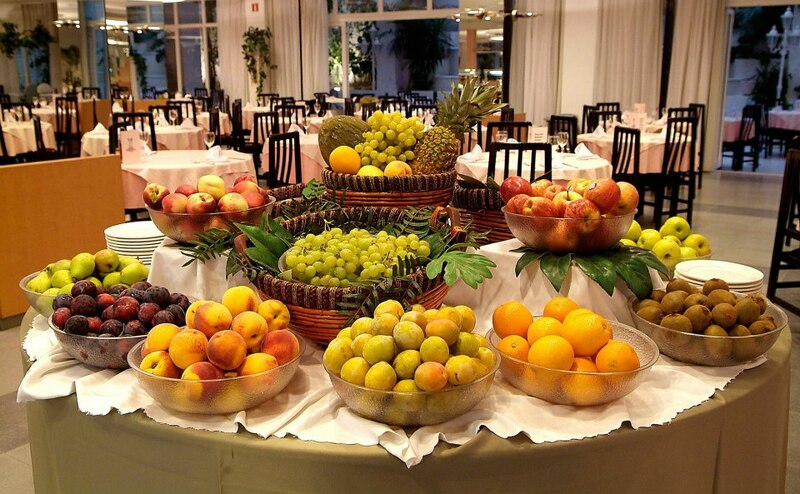 Services: Air conditioned and heated rooms, Wi-Fi, Buffet restaurant, Meeting rooms. 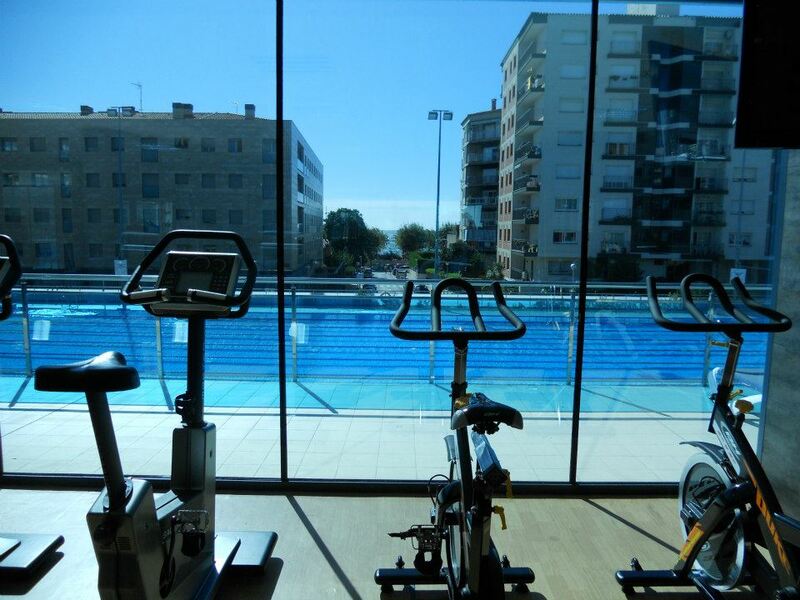 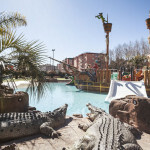 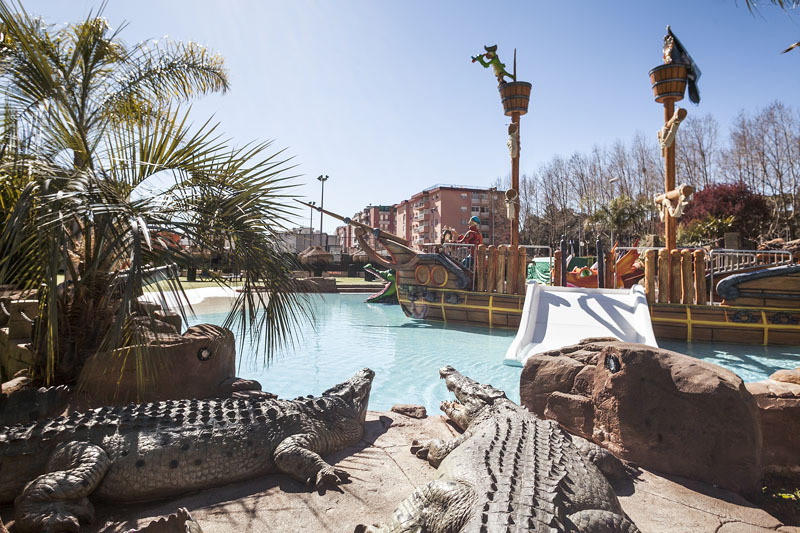 The Costa del Sol is one of the favourite destinations in Europe, not only for leisure activities but also because of its modern and complete sports facilities. 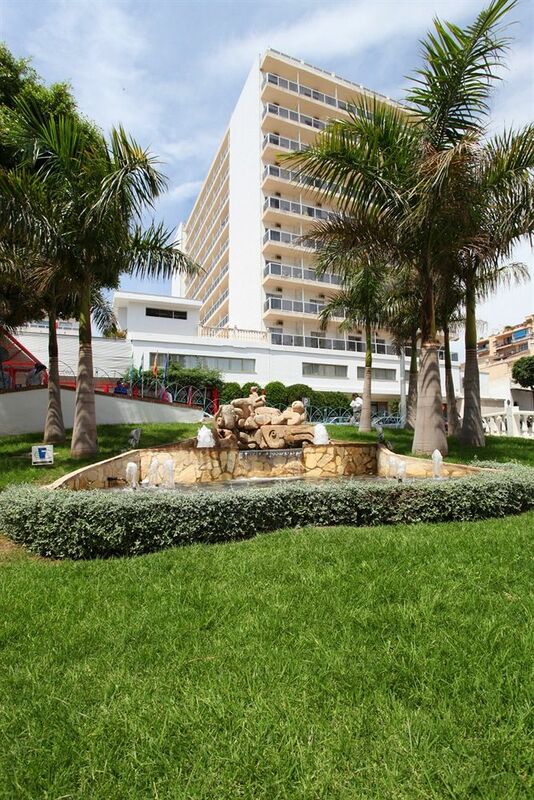 Located just 15 minutes away from Malaga Airport, Torremolinos guarantees sunshine and warm climate all year round. 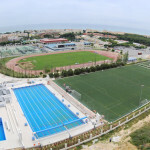 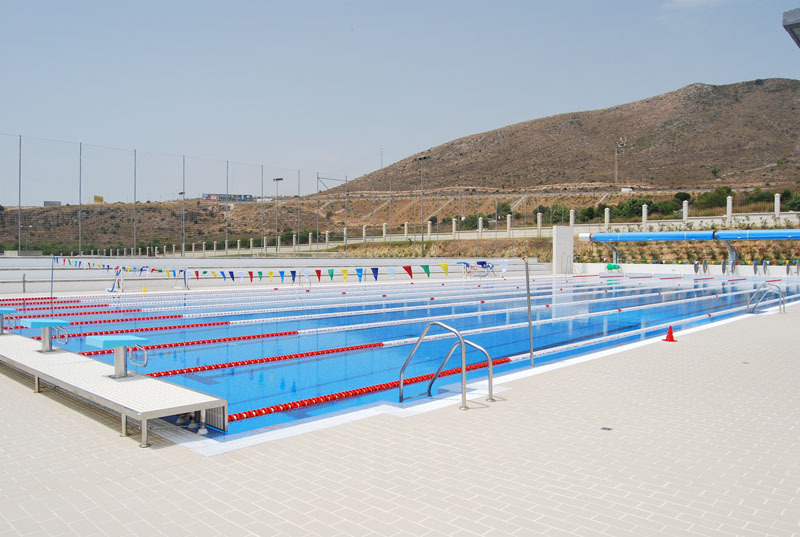 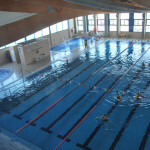 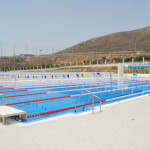 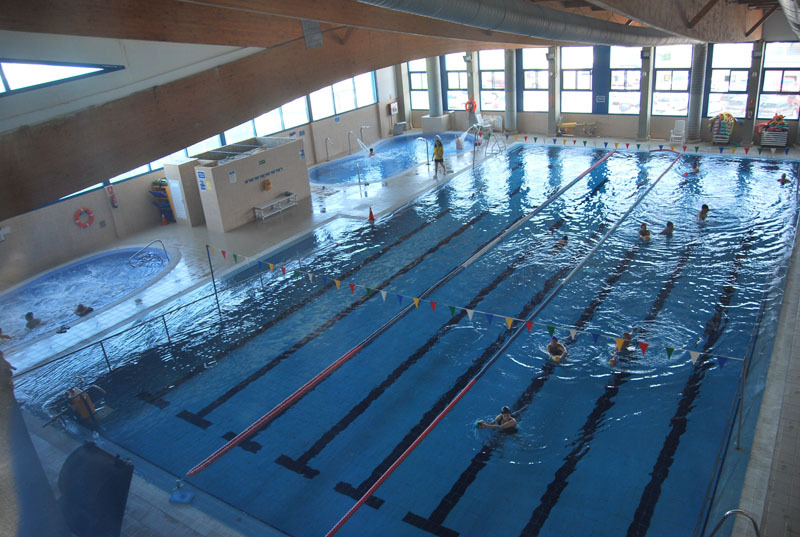 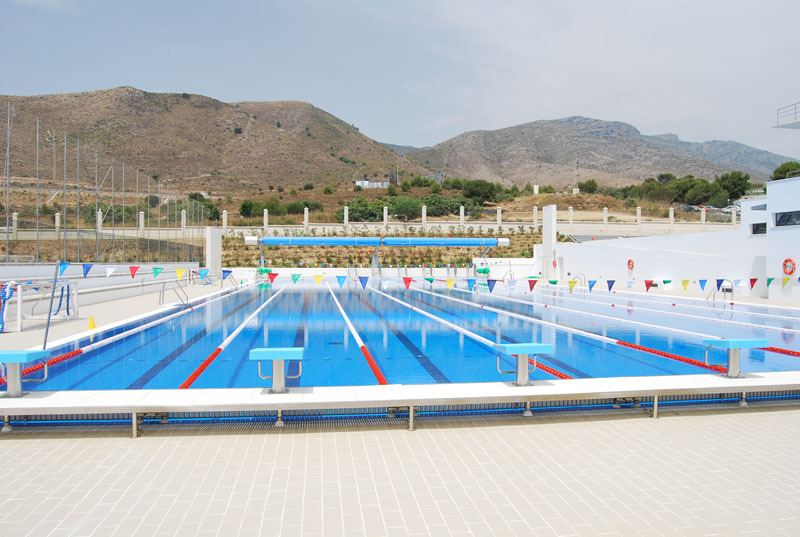 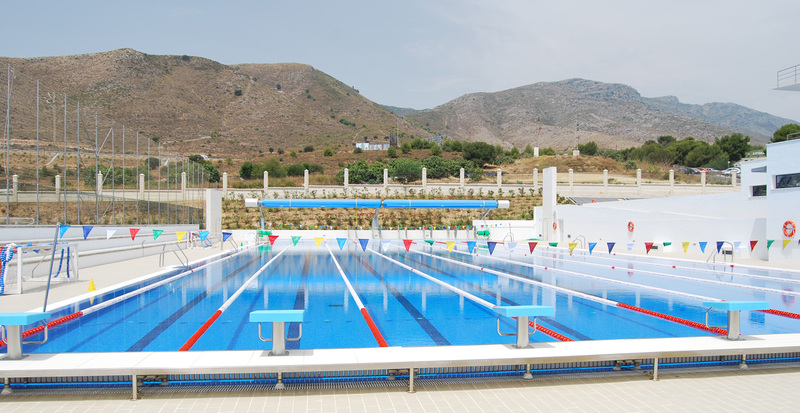 The Piscina Olímpica Virgen del Carmen belongs to a large sporting centre with athletics track, football pitch, indoor sports hall, tennis courts and a gym. 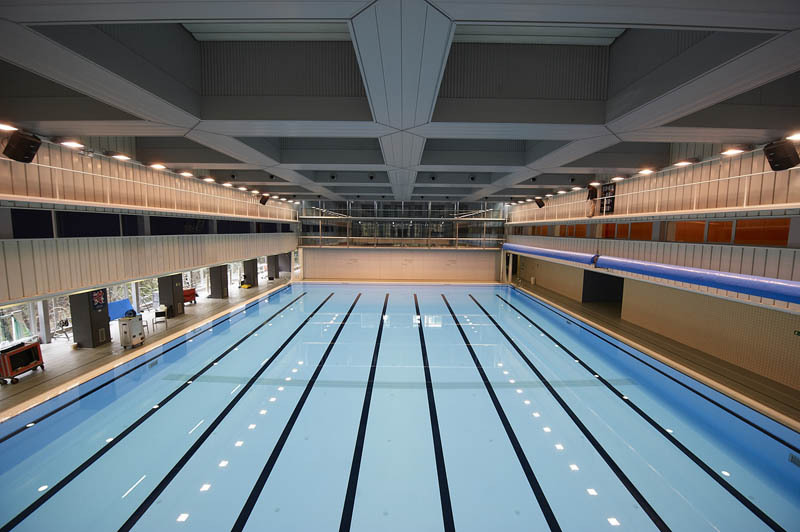 No transfers are needed to access the great Olympic Indoor or Outdoor pools from the hotel, adding extra convenience to your swimming trip. 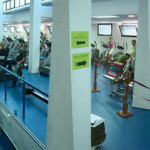 Distance to accommodation: 10 to 15 minutes’walk. 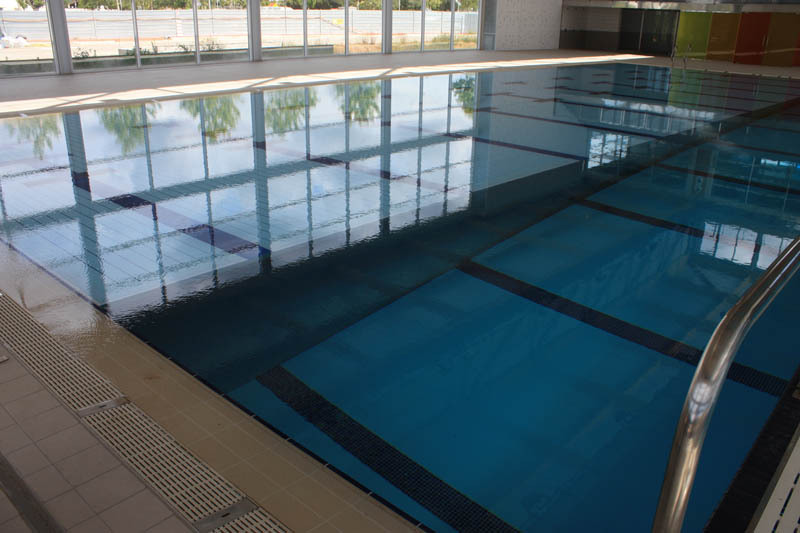 Extras: Diving and synchro outdoor pools, Dressing rooms, Additional activity rooms, All types of sports available at sports complex. 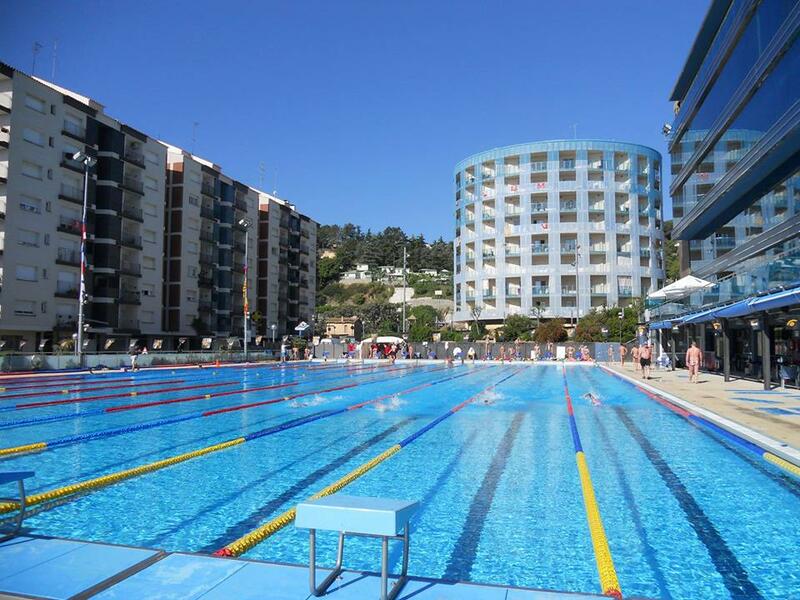 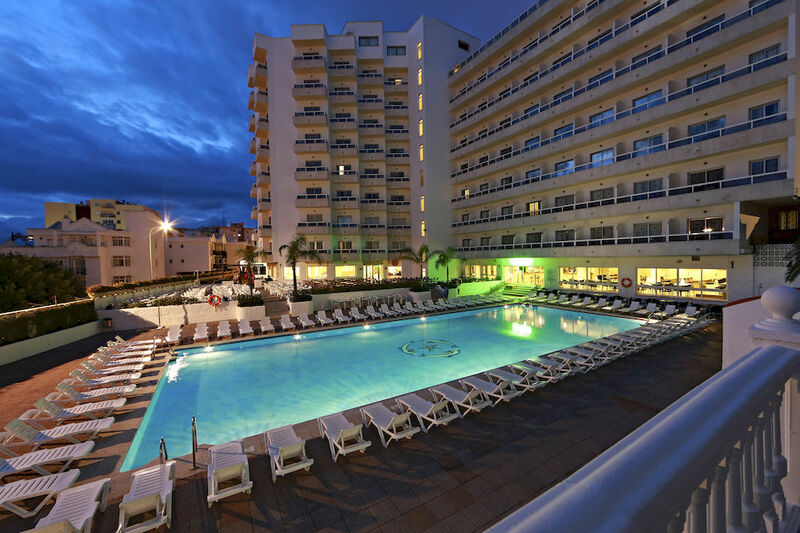 Swimming teams in Torremolinos usually stay in a 3* resort only a few minutes’ walk away from the pool, close to an incredible Costa del Sol Beach, and many shops and city attractions. 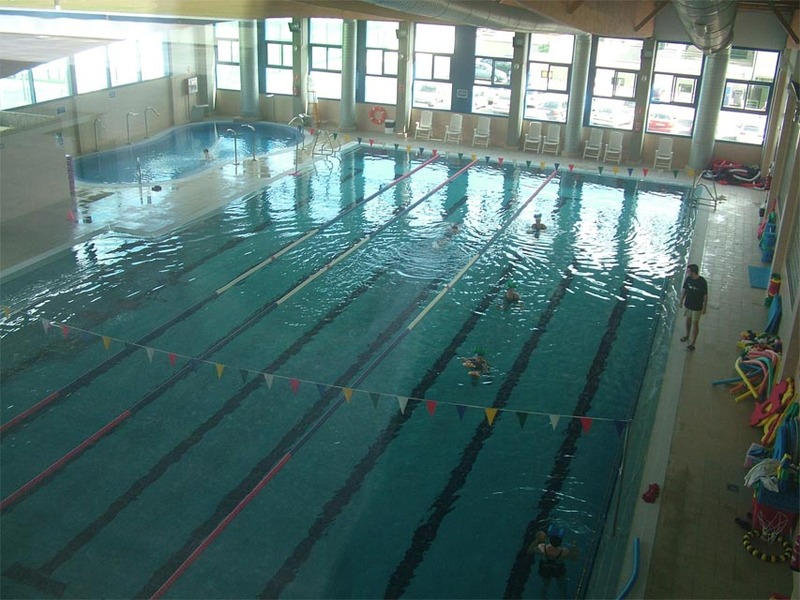 The lodge is fully equipped with a large selection of services making it an ideal and spacious base for any sports group visiting this attractive coastal town. 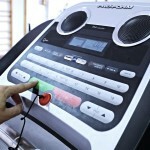 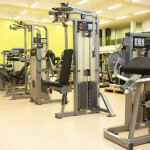 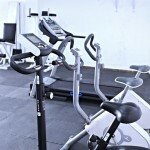 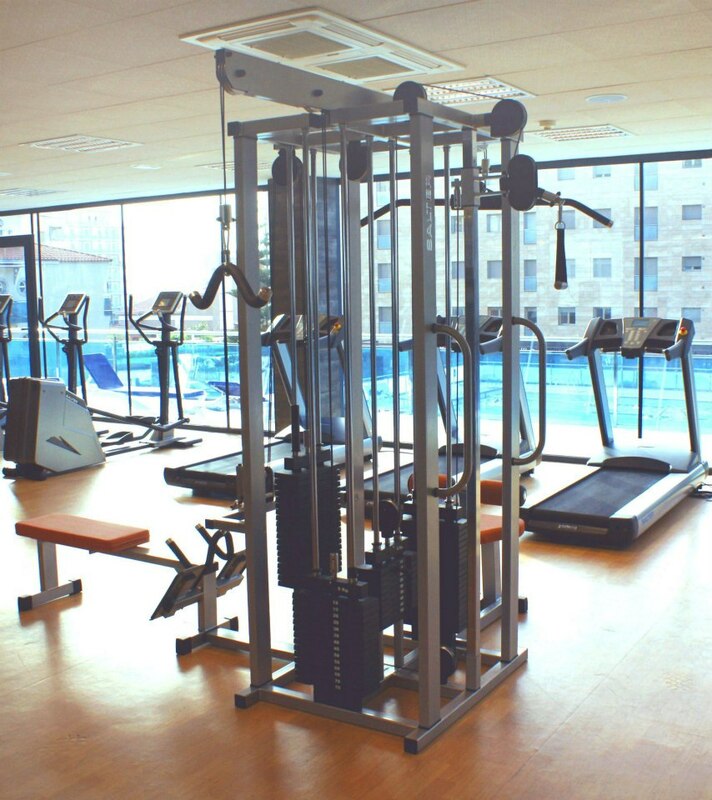 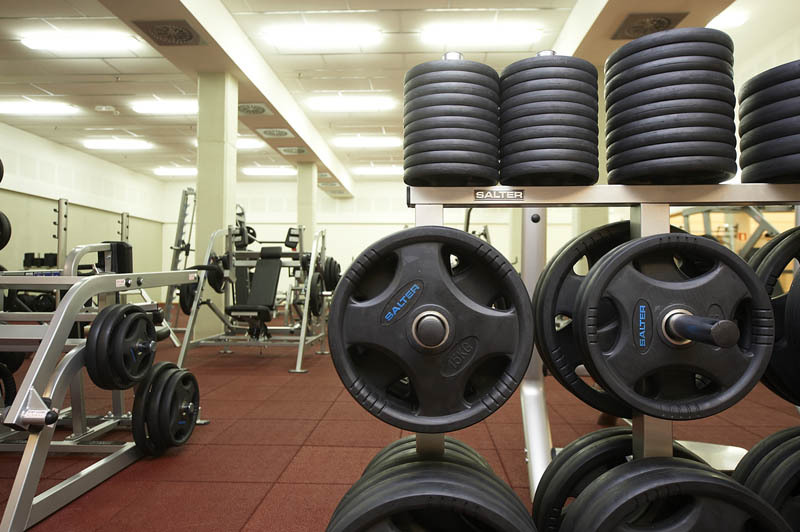 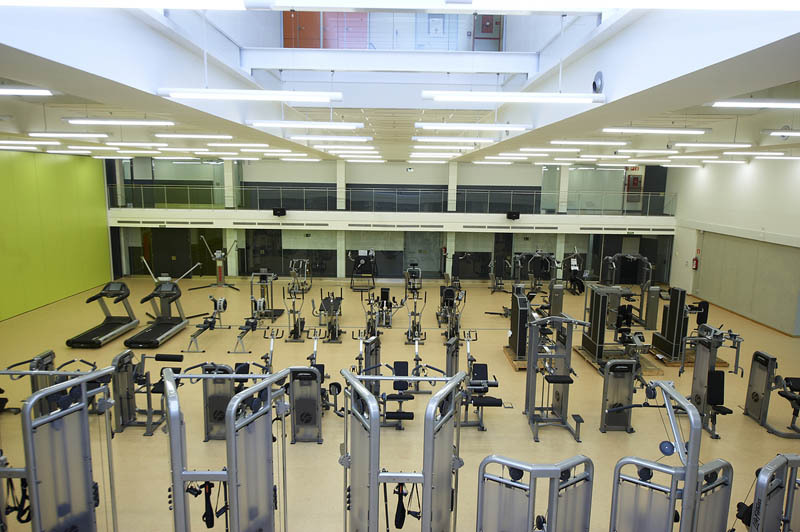 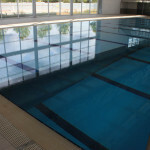 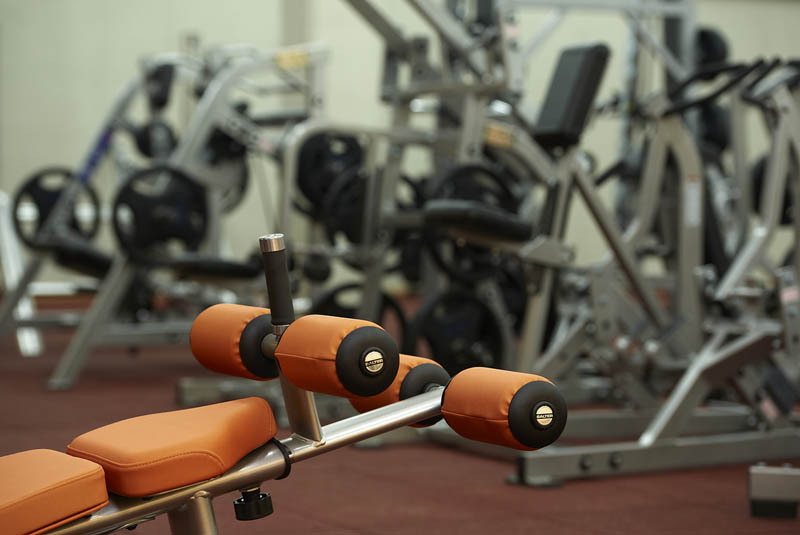 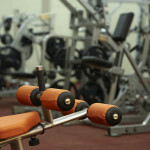 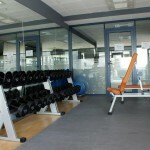 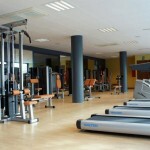 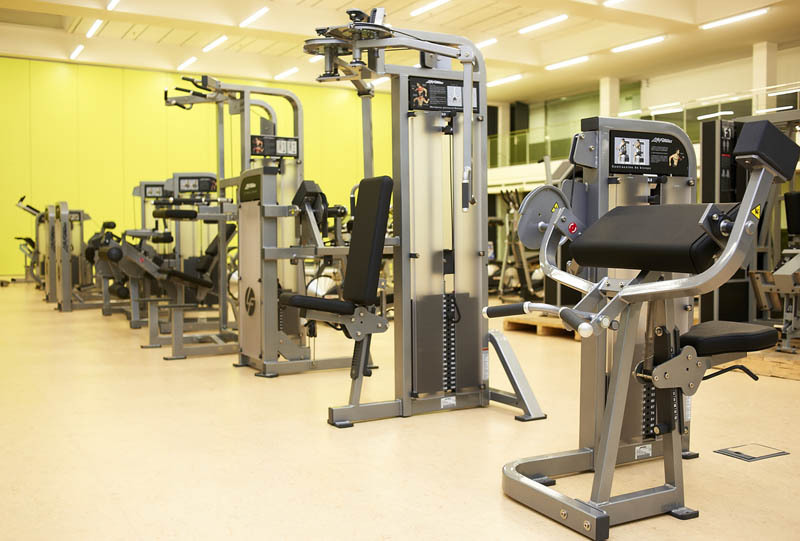 Services: Air conditioned and heated rooms, Outdoor pools, Wi-Fi, Buffet restaurant, Library room, Tv room, Games room, Gym. 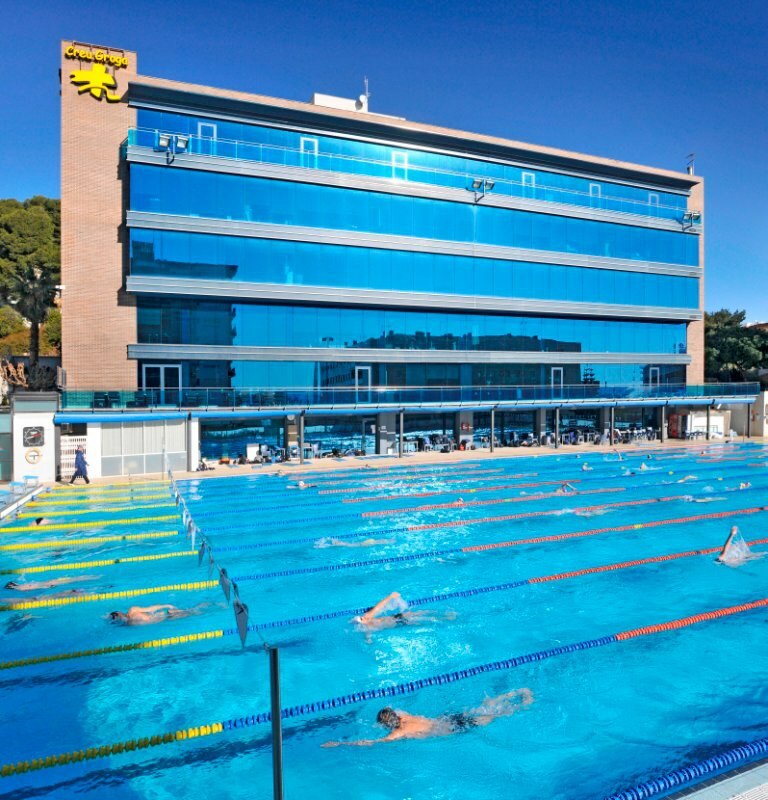 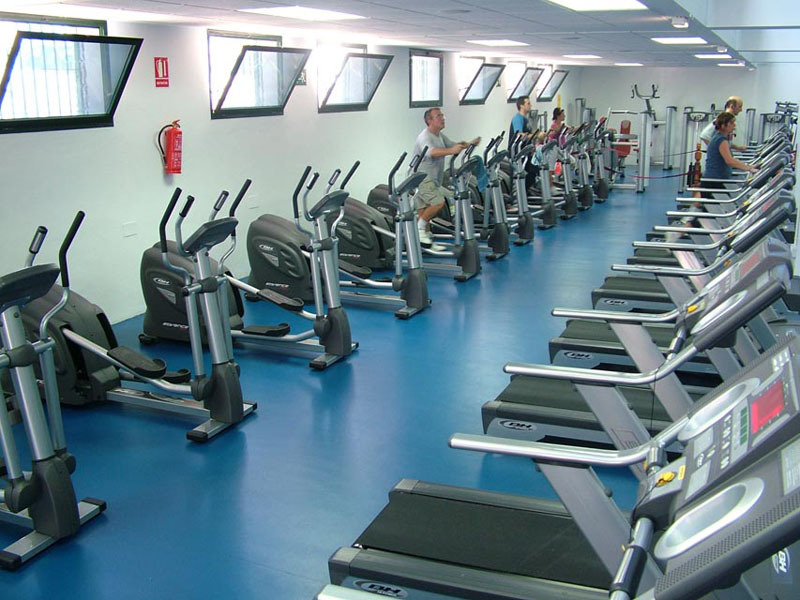 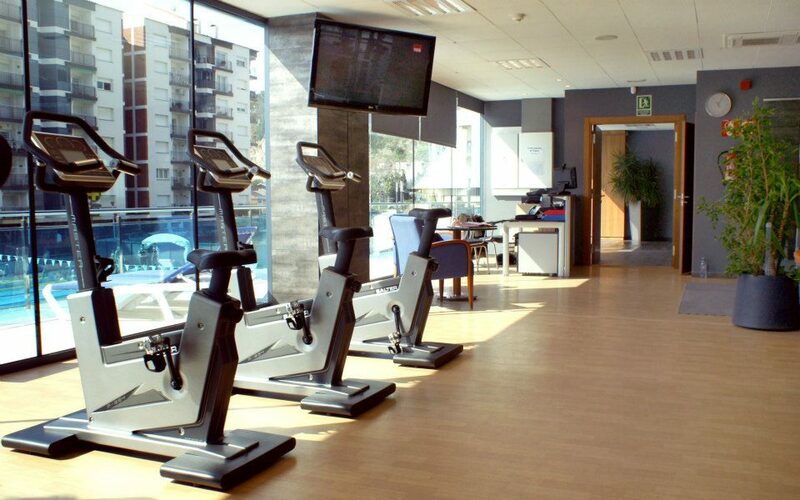 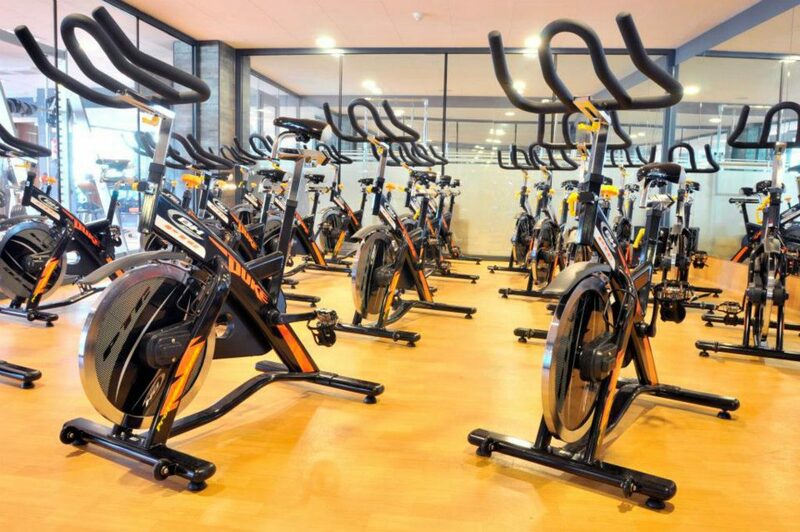 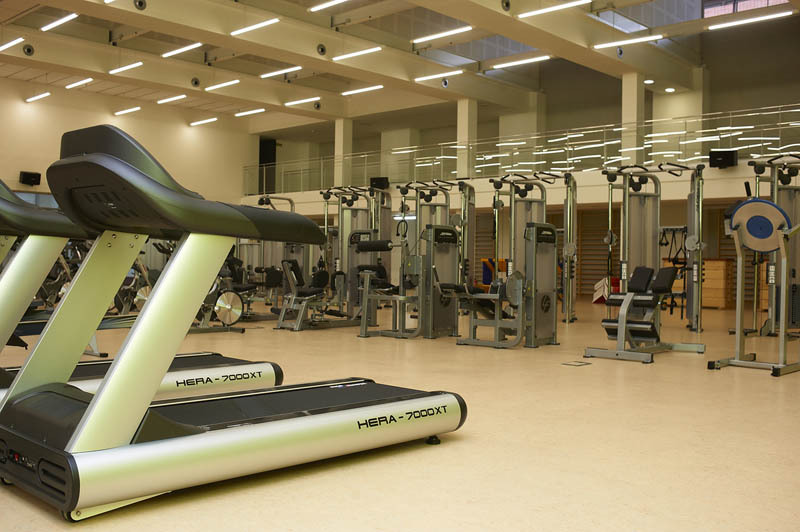 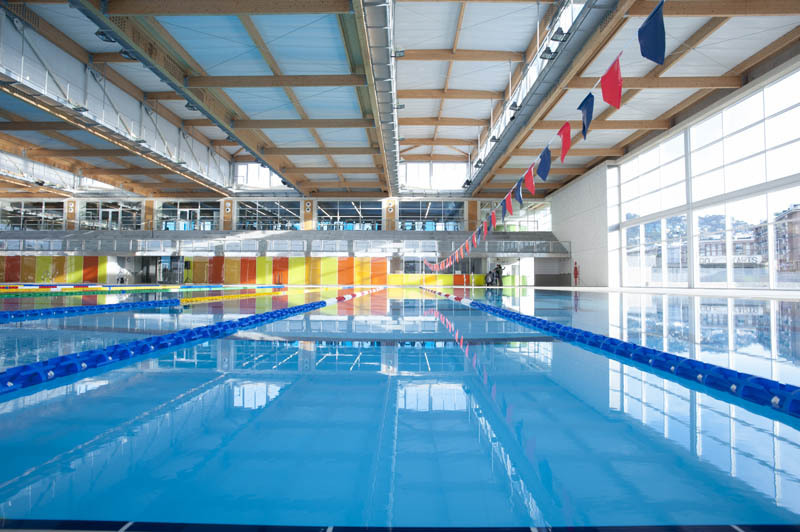 Located in a well-connected Smart city and only 20 minutes from Barcelona, the CAR (Centre d’Alt Rendiment) high performance sports centre is in the town of Sant Cugat. 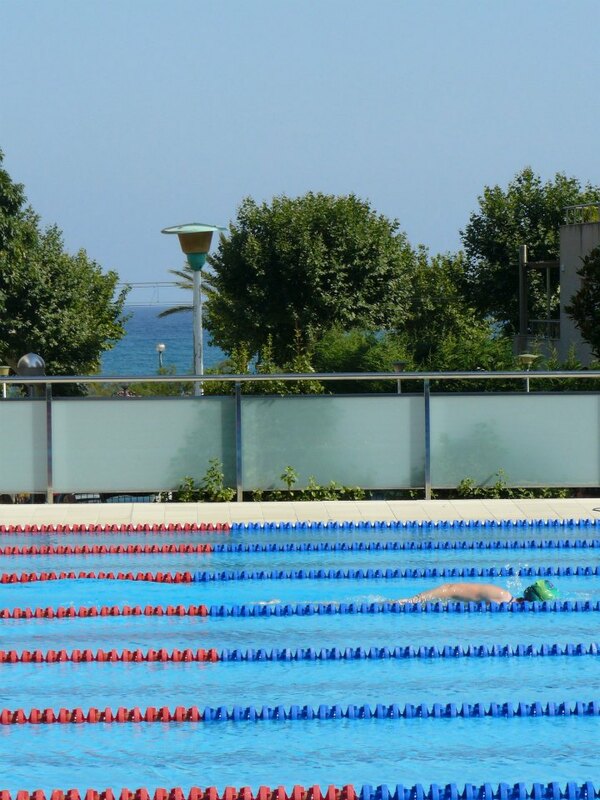 CAR is adapted and equipped to accommodate all types of sports, and still providing all the attractions the region has to offer in a natural environment setting that enables athletes to train and relax in the best conditions. 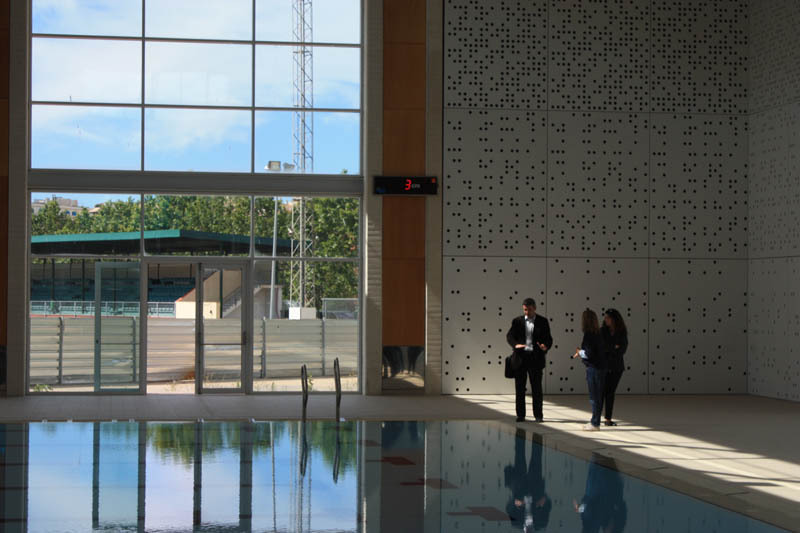 The CAR sports centre covers an area of 148,000 m2 in which high level sport can be practised. 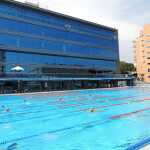 In fact, it is considered to be one of the most important centres in Europe due to its facilities and its infrastructure of the highest scientific technical quality for sport in general, and for high level sport in particular. 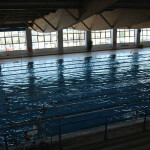 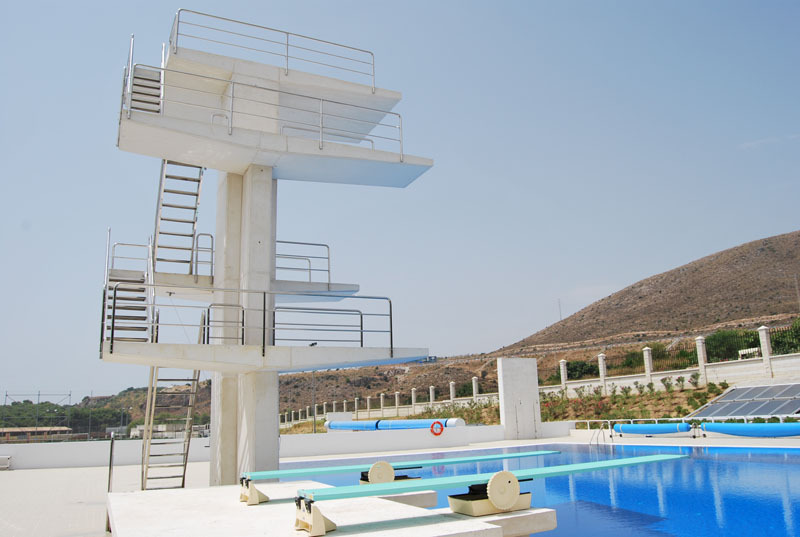 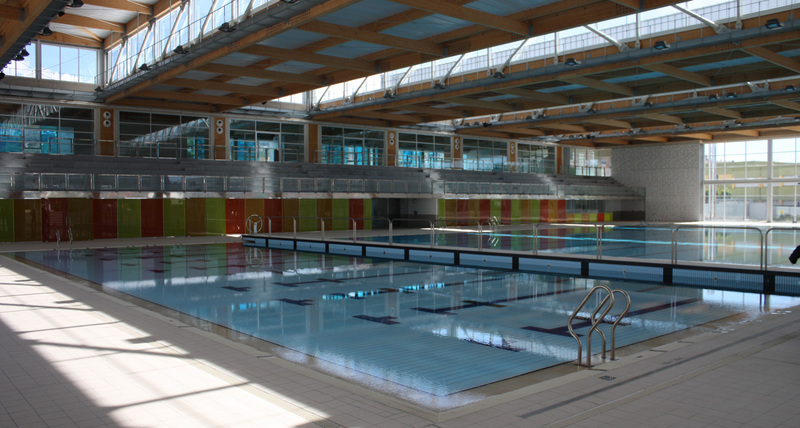 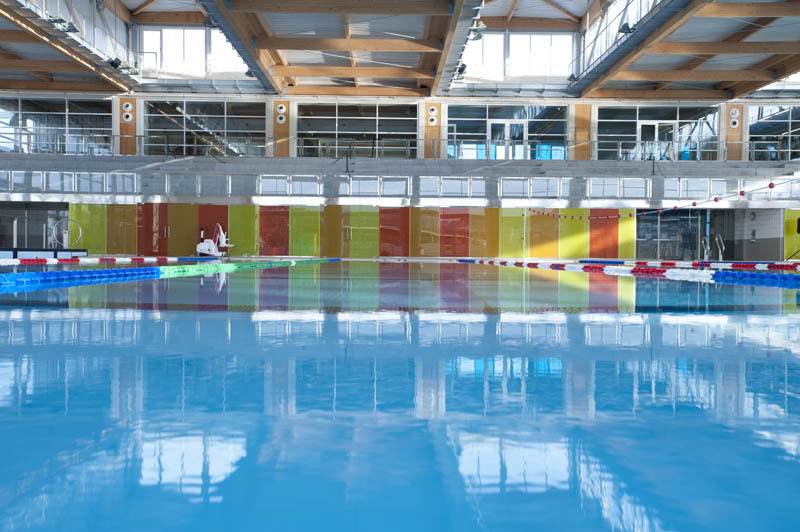 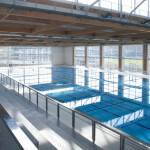 The swimming pools, athletics track, tennis courts, gymnasiums and many other facilities cover all Olympic sports. 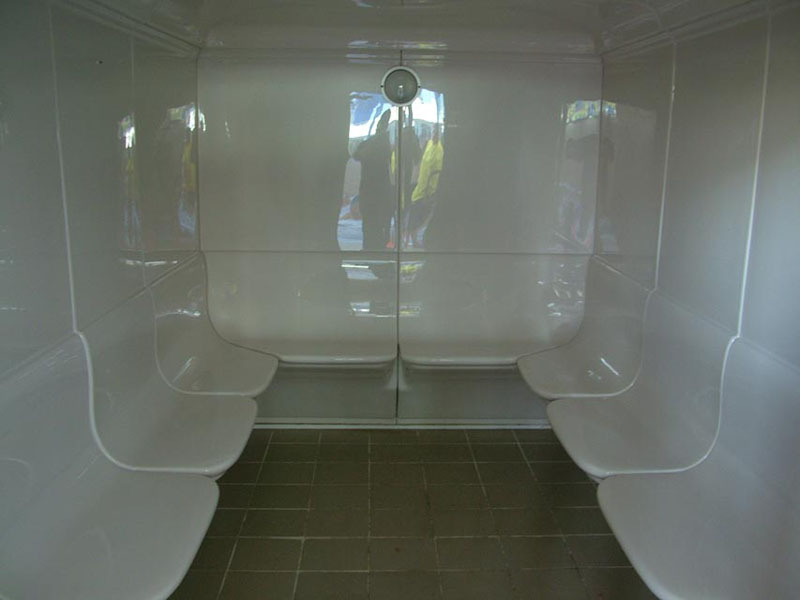 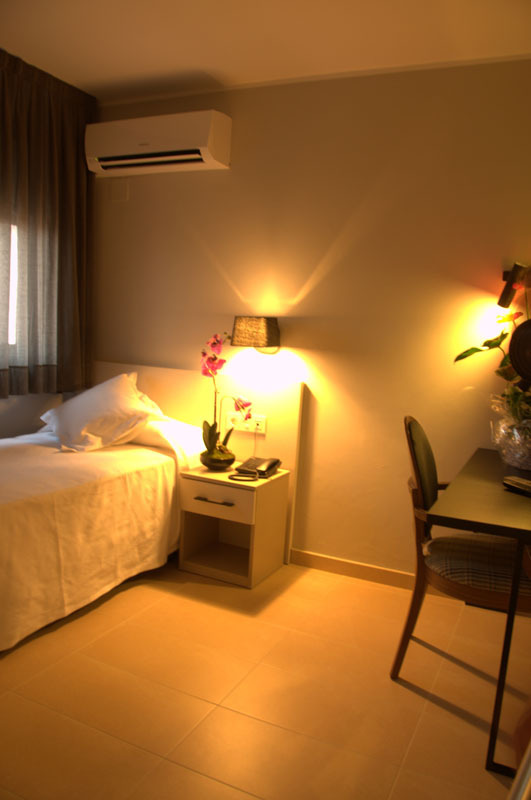 CAR can host athletes in the on-site residence with 150 beds in single, double, triple or quadruple rooms where visitors can enjoy a pleasant stay sharing their time with other athletes from all over the world. 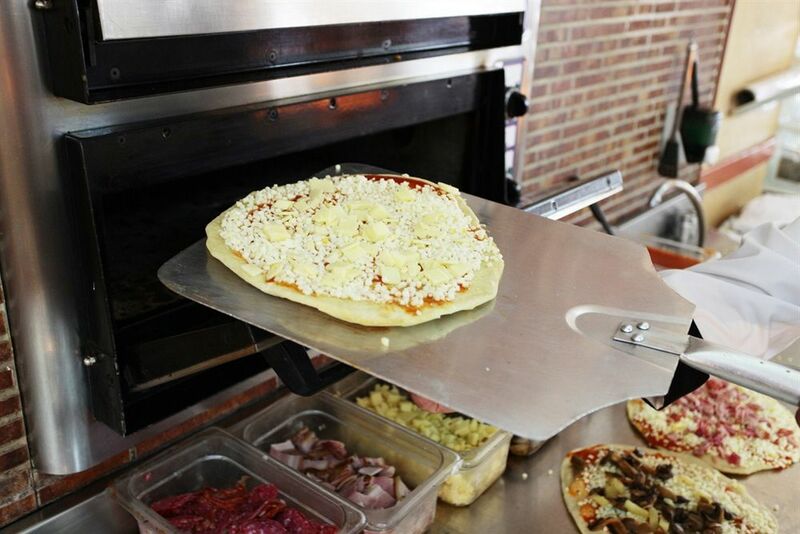 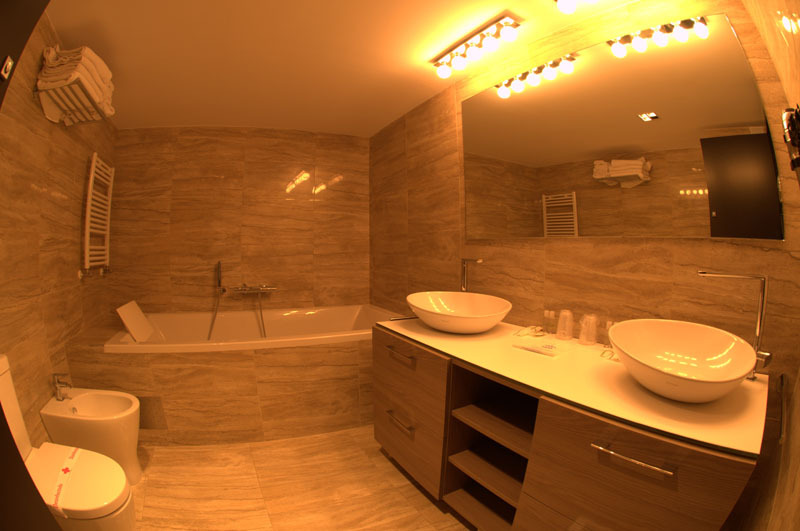 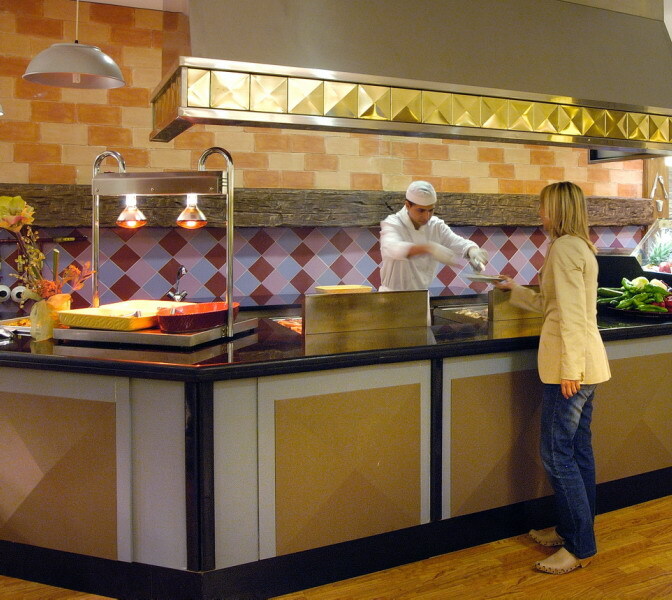 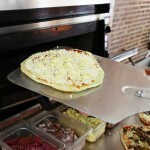 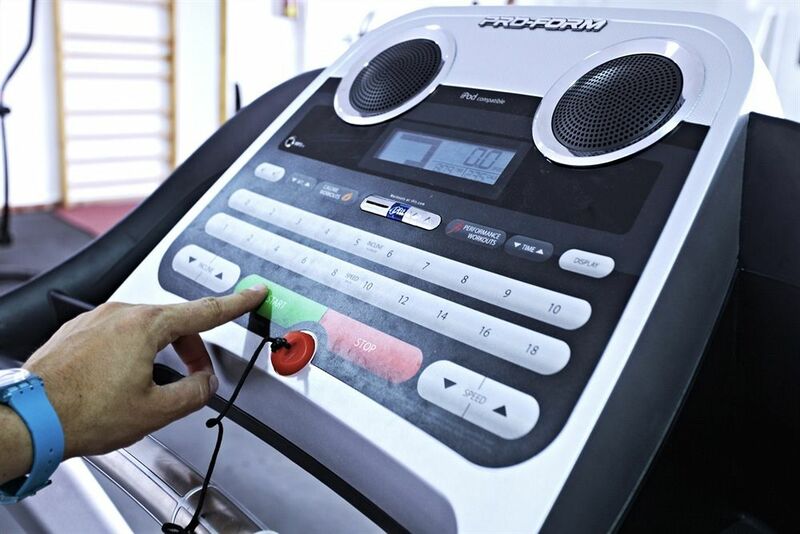 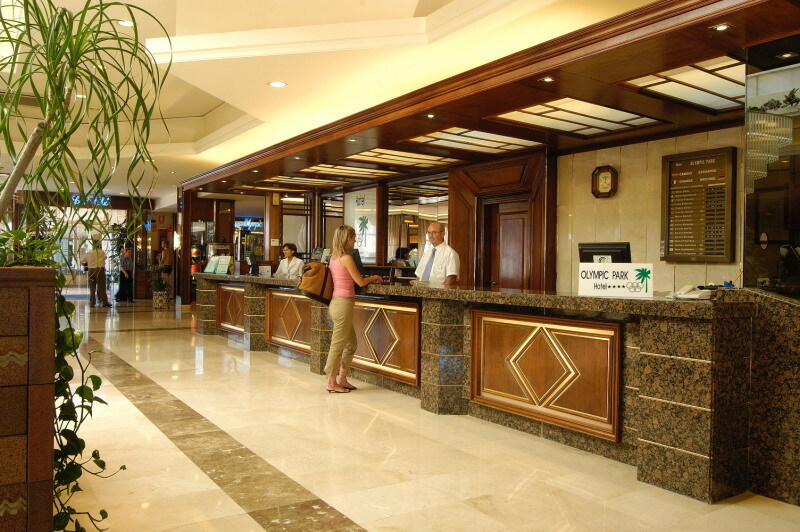 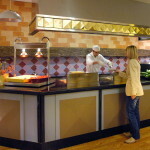 Services: Air conditioned and heated rooms, Sports special menus, Wi-Fi, Tv and telephone.